Depending on your definition of a customer, their experience starts well before they actually buy anything. It might be what they’ve heard from others or what they’ve seen in the news. But if the brand comes knocking on their door that first impression is also a critical experience. Many get it right because it’s based on a real empathy with those they are trying to engage with. However, it’s not always the case. Absent a clear customer experience strategy, what we think do as a business often looks very different when looked at from the customers’ perspectives. For example, if any CEO is wondering why their Sales teams are not getting better results, maybe a quick look at how their initial engagement makes yet-to-be customers feel will give some big clues. The quotes below are all real examples I’ve had in my inbox just this last week. There are others and I’m sure you’ll have your own ‘favourites’. Putting “Our 9am meeting” in the subject heading doesn’t spur me into replying out of panic. Sorry to burst your bubble Sales folk, but changing it to “Our 10am meeting” in the follow-up really doesn’t make any difference either. Saying “I’ve tried to reach you” is just lying – technology is quite good these days so I know if you’ve tried to get in touch as often as you claim. And when your colleagues use the same line every week, several times a week, it becomes very transparent. Gasping “I can’t believe you’ve not signed up yet” and “I’d hate for you to miss out” is at best patronising and lacks any sincerity. What’s more, should I be interested a reply to the email will go into a generic mailbox, not to the person who is (presumably) trying to create a relationship. It just shouts even louder about how you really don’t care if I get back in touch or not. Does somebody seriously believe this type of approach is going to create an experience I want to repeat, share and pay a premium for? If these companies had any genuine interest in what I do and how they might help me achieve success, they’d look at their Sales activity as a meaningful experience not a bullying, volume-led, can’t-really-give-a-**** transaction. I often come across businesses who fear the Sales team always over-promise because of the way they are rewarded. They then disappear off the face of the planet while everyone else tries to rally-round, clearing up the mess to deliver something close to an unrealistic promise. On the flip-side, maybe the Sales team is frustrated that everyone else can’t keep up. Maybe they’re just doing what they’ve been told is best. But to create a first impression experience that is confrontational, misleading and deceitful creates no trust, no relationship. No commission. They say the experience on the outside reflects the culture inside and they’re right. In the middle of a busy day, to be on the receiving end of these type of messages says heaps about what it must be like to work there. No clear strategy, just a numbers game where some very talented people will be wilting under the stress. Intended or not, what they are saying to me is that it’s clear their focus is just on revenue, not on me as a potential customer. They don’t care if I buy or not, there are plenty more fishes in the sea. Friend and colleague Ian Golding wrote about a similar mindset very recently in this blog. These companies are not some anonymous outfit in a far-off land that’s acquired an email list; often they are large, global businesses who should know what they are doing. These companies will make some money for sure but that short-term approach breeds complacency and stores up problems for down the line. If they applied a dose of customer experience thinking they could, however, make a whole lot more money. If only they didn’t push their potential customers away before they’ve even got close. 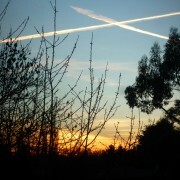 Thank you for reading the blog, I hope you enjoyed it and found it thought-provoking. I’m Jerry Angrave and I help people in Customer Experience roles do what they need to do. I’m a CCXP (Certified Customer Experience Professional), a CX consultant and am one of a handful of people globally who are authorised by the CXPA to train CX professionals for its accreditation. The benefits of customer journey mapping are well documented; it’s an incredibly valuable exercise that gives the business a shared understanding of what it’s like to be a customer. And, therefore, a clear picture of what should be celebrated, what should be done differently and why. Journey mapping is a means to an end. It’s not, as some people see it, about having a pointless happy-clappy day with Post-it notes and Sharpie pens. Done effectively and on an ongoing basis, what customer journey mapping tells you can be one of the most effective strategic and economic tools a business has in its armoury. But not everyone sees it that way and as CX professionals we often need to help sceptical stakeholders ‘get it’. 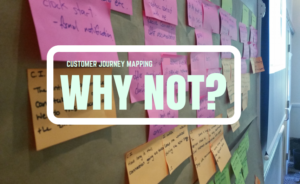 So, for what it’s worth and to help anyone trying to convince a non-believer to begin mapping customer journeys, I’ve put together a list of some of the additional pleasant surprises – sorry, “commercial benefits” – journey mapping delivers. 1 Catalyst. It’s a great place to start. Companies often struggle to get momentum behind a fledgling customer experience programme. If you do nothing else in the name of customer experience, map a customer journey and see where it takes you. The beauty of journey mapping is that it’s easy to do and even just a couple of hours or a day’s workshop can set things on the right path. It will challenge dangerously complacent beliefs that there is no burning platform. And even if it becomes apparent that today’s customer experience isn’t inherently broken it will provide plenty of ideas for how to keep up with expectations in future. 2 Engagement. Hey presto, you’ve created a CX focused, cross-functional team. At a recent workshop I facilitated, one participant stopped in her tracks when telling her persona’s story to the group. She observed that this was the first time that organisation had brought everyone together who had some involvement across the entire journey. Pennies dropped, dots were joined and new relationships created there and then. They’ve stayed together as a group ever since and have created mini-task forces for other journeys. Involvement in these types of workshops creates excitement but also an expectation that things will change. That has to be managed carefully but what you do have now is an army of internal CX champions who will help spread the word. 3 Value. The outputs have all sorts of uses, just make sure they’re not filed away. The biggest risk to journey mapping is that once the journeys are mapped, the persona stories are told and the findings are documented, they get filed away and never see the light of day. Make it a living beast so it never fades away. Put the journey on a wall or on the intranet so it’s visible to everyone. It’s a great opportunity to get thoughts from other employees who can to wander past and add their thoughts over a cup of coffee. Keep it alive, use it to generate interest and action. It prompts all sorts of conversations about the issues and opportunities. And it’s also a great visual to show new employees what their customers experience too. 4 Simplicity. As they say, simplicity is a very sharp knife. It doesn’t have to be complex to be value-creating. As with many things in life it’s easy to over-engineer. Journey mapping does need to work hard to be from a customer’s perspective but often the simpler the structure and framework the better. One client told me they were keen to do some mapping but couldn’t take the team out for a whole day. Instead, they took a bit of time in a team meeting; better than nothing. 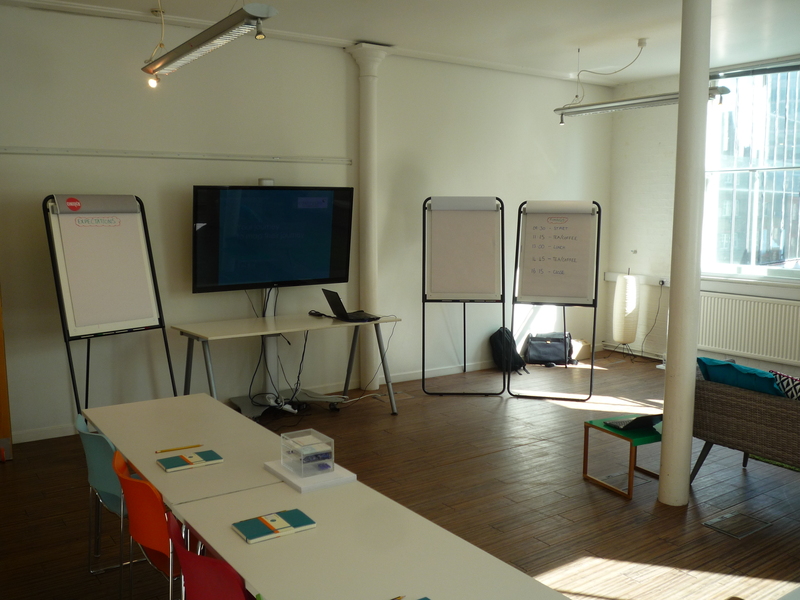 The format was quick but follows the same approach as a full workshop; sketch out what the customer is trying to do and why, then across the stages, look at what they are thinking, doing and feeling. Then ask what you measure; do you know how well you do the most important things? Review what you’ve written down and agree some actions. First journey map, done. 5 Themes. Over time, helpfully, common issues rise up to the surface. 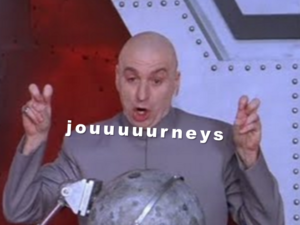 Journey maps should never be reviewed in isolation. Whether you run one journey from the perspective of several personas or you look at multiple journeys, it’s very likely you’ll find common threads emerging. So, while one specific issue raised may not be critical to that journey itself, we should take notice when that same issue appears in other journeys for other customers, employees or third parties. A quick example from a mapping programme I ran late last year. Although they weren’t cited as major challenges in their individual workshops, it became apparent in every one of a dozen or so sessions that three themes stood out; there was a lack of understanding about what the brand stood for, employees desperately wanted/needed a good CRM system and there was a genuine concern about a lack of consistency in delivering the experience across all touchpoints. 6 Education. For me, the biggest benefits in mapping customer journeys is often the conversations happening between colleagues during a journey mapping session. It’s common to hear things like “Oh, I didn’t know that’s what you did”, “Does anyone know what happens if…?” and “If you can get that information across to me in a different format I’d be able to do my bit for the customer better”. Because we have people from all steps of the customer journey in the room, those conversations can happen and are invaluable. They might not be the conversations you want in front of customers, which is why I’d always advocate bringing them in to the process once you have your initial draft journey. Which brings me to the next point. 7 Connection. As if you needed one, it’s a great excuse to connect with customers. The good news is that you now have a journey map. The better news is that it needs validation by customers to have any credibility. 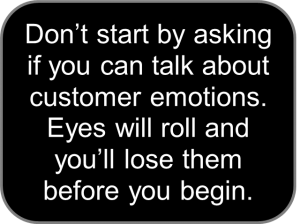 So once you’ve had those awkward educational, internal conversations you can invite customers to give their views. Even if they end up not participating, the act of asking their opinion goes a long way. 8 Outliers. Small sample sizes should always be treated with a big degree of caution. However, journey mapping can unearth some behavioural outliers that are worth noting and following up on. I recently ran an employee experience mapping session where one of the personas was that of someone getting promoted. In the “What are they thinking?” section, a comment was made that they hoped their previous peers would now “fear me”. The sticky note was written and put up on the wall. No-one challenged it despite many internal communications extolling the values of ‘our family’ and ‘camaraderie’. Likewise, one comment from a senior executive who said they – a company who claimed to give “exceptional client experiences” – would only ask clients for feedback if the client can be billed for the time. Such anecdotes might be limited to one or two people. They’re easy to brush aside, but if there’s a latent attitude problem – especially if that’s coming from the leaders of the business – it’s better to find out and address it. 9 Focus. The whole point of journey mapping is to generate ideas and be confident in what you do next. That said, the workshops will give you tens if not hundreds of suggestions. It’s a nice problem to have but can also feel overwhelming. Where now? Part of the solution is right there on the day in the journey mapping workshop; your colleagues. Make the most of the opportunity and ask them to vote on the issues that they think are the most important. You might have a thousand sticky notes, but voting will give you an instant proxy for where the top issues lie and which warrant further investigation. One word of caution though. Be prepared that when you validate the journey with your customers, they may highlight different priorities. Far from being frustrating, treat it like gold-dust. Without going through that process you wouldn’t know what’s important to them. You’d have everyone doing lots of stuff, just not necessarily the right stuff. 10 Fun. Seriously, have some fun. One of the best benefits of customer journey mapping is that it’s simply a great way to bring people in your business together. It’s far from being a dry exercise and is, unintentionally, often a great way to foster employee engagement. They’re on their feet adding value, not being talked at. They’re being asked for their opinions, to role-play personas and to think creatively. They’re asked to think about different scenarios and “What if…?” ideas. It might stretch a few people who haven’t totally bought in to why they are there. 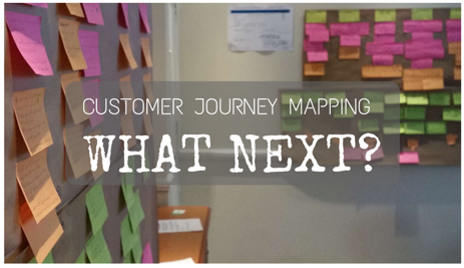 Look at journey mapping workshops as you would a customer experience though. You want them to come away engaged and enthused, telling everyone else about it. So if they get distracted, go off on wild tangents and have a laugh they’ll share the stories. Before you know it, you’ll be everyone’s best friend and more and more people will want to get involved in helping you making your business customer-centric. 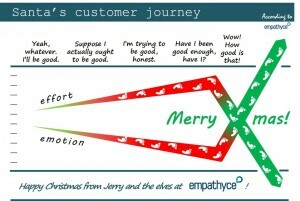 If you set out to convince a sceptical stakeholder to do one activity that increases employee engagement, deepens customer empathy and prioritises finite resources all at the same time, you’d really have to go a long way to beat journey mapping. I hope that gives some food for thought but I’m sure you’ll have other benefits of customer journey mapping too – let me know! Here’s a familiar scenario in the customer journey mapping process. Your workshops went well, everyone was engaged and the team is bursting with ideas. You added extra value by creating an environment where people from across all functions shared their behind-the-scenes stories. In doing so they learned a lot more about their own business, which wouldn’t have happened without you. All in all it’s a good result. With plenty of actions and food for thought there is now momentum. Expectations are high but the ‘journey of the journey’ has only just begun. So as you unplug your laptop, switch off the light and leave the workshop your attention turns to what happens next. In the first part of this series I explored ways to get buy-in from skeptical stakeholders for customer journey mapping workshops. Last time I looked at how to make sure the workshop stays on track and is efficient use of time. And for this last instalment I want to share thoughts on what to do after everyone’s gone back to their day job. And that’s part of the challenge we now face. We’ve got people interested and we’ve flushed out some great initiatives. However, the reality is that whatever gold we uncover and however energised we feel, we have to make it part of their day job before the wave of enthusiasm loses its energy. We don’t want it lost in the noise of inboxes and meetings. 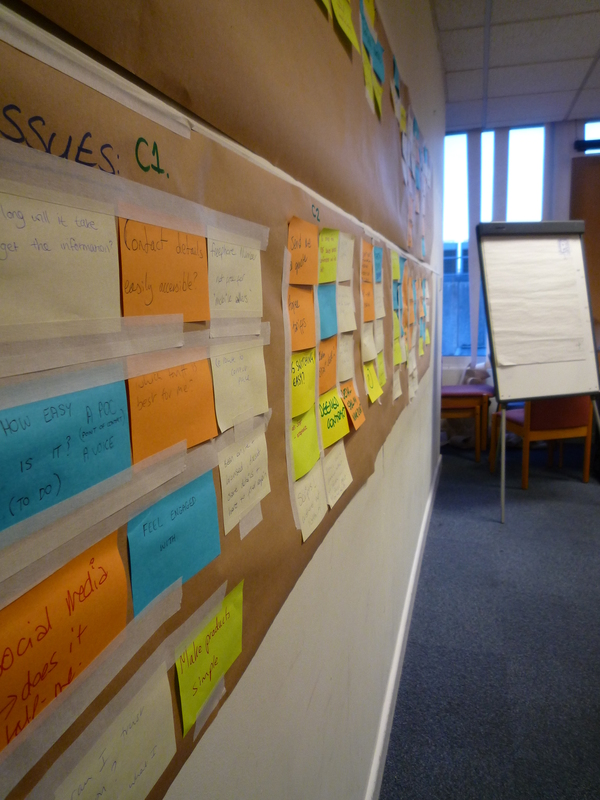 A large utility company I worked with recently told me they’d done some journey mapping a couple of years previously. They’d had it illustrated and they’d dig it out to compare then with now. Only they couldn’t find it. After much searching the mystery was eventually uncovered. In a sea of hot-desks at corporate HQ was a line of table-high storage units. Beneath the glass top, but also barely visible under stationery boxes, photocopying paper and a guillotine was a cleverly illustrated customer journey. Had it been on show it would have been a powerful way to engage stakeholders. It told a compelling story and could have been a catalyst for badly needed change. But all the effort had, literally, been shelved. So what can we do to make sure the path down which we’ve just started doesn’t wind on aimlessly? Here is my take on just some of things we can do. First things first, thank everyone for attending and write up the journey (s) you’ve looked at. Beyond that, share it personally with other stakeholders who you need to be involved and demonstrate the momentum you now have, inviting them to be part of it. Get everyone to share the outputs with their own teams and make it part of the governance process to have them reviewed and critiqued. Sharing it widely increases the collective ownership. 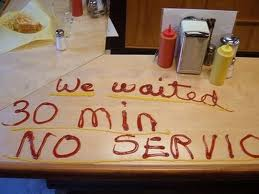 It will also then keep evolving into a more accurate picture of the real-world customer experience. Customer journey mapping isn’t, as some organisations seem to think, all about creating a pretty picture. It’s important but not the end-game, far from it. 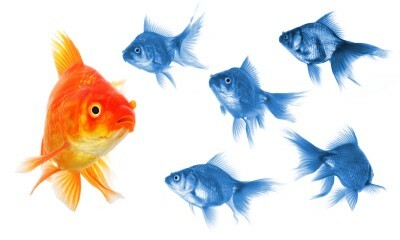 What it looks like will depend on what works for your own business and who your audiences are. Some will be at a high-level and others more detailed but if you can turn the brown paper and sticky notes into something pleasing to the eye that’s great. Make it large and put it somewhere that will stay visible. Ask passers-by in the office to comment on it. Unless you have easy access to a graphics team, my experience is that, at worst, it’s better to have a well-organised table made in PowerPoint, Keynote or Excel to tell the tale than to lose time trying making it look like a storyboard for the next Peter Jackson film. The aim is still to help colleagues understand what they need to change and why. When you feel it’s in good shape, try it out on a few customers who match the persona from whose perspective it was done. Ask them if they recognise that as their journey and their issues as they pass through it. Play it back to them so they know you’ve understood and ask them what they don’t want to happen at each stage. Having that extra layer of customer validation gives enormous credibility, something that’s hugely beneficial when dealing with stakeholders, especially the one who love to pick holes in things. It’s the most obvious and important thing to do with a journey map but there’s simply no point in doing the maps if there’s no way of using them. It must become a regular feature of the CX governance. Or, as I’ve seen a few times, the creation of a journey map is the very stimulus needed for creating oversight in the first place. The maps need nurturing and harvesting if they are to continue growing and yielding more insights. Prioritising what to do next is then the issue. Hopefully you’ll have no shortage of possible actions but the mapping exercise will reveal what to do first. You will have identified what’s most important and how well it’s done and that then gives confidence about what to do in the short, medium and long term for customers, colleagues and stakeholders. Picking off those things that are easy to implement and have a big impact will also demonstrate the proof of concept for when you are seeking greater investments in time, people and money. It’s not a one-off exercise. The world keeps changing so the mapping will need repeating to stay relevant. That might be at least annually if not more frequently, especially as your changes get implemented and the experience evolves. Even if nothing within the front-line business changes, customers’ expectations shift, competitors up the ante and an IT systems upgrade always seems to have an unintended consequence somewhere down the line. It’s likely you identified several other personas in the workshop so map the same journey for them. You’ll also have different journeys, some made by yet more personas, to map out too. And time spent mapping what it’s like for a colleague and/or third-party to deliver the experience is as invaluable as it is necessary to complete the picture. The customer journey mapping process is an essential competency of any business. It’s only part of the CX mix and without it the risks, wasted costs and commercial consequences can be significant. But with the right engagement and preparation, with robust facilitation and with the resilience to build the momentum you’ve created, your influence will be greater, the connection between CX and the bottom-line will be clearer and the cogs of the business all fit together neatly to deliver the right experiences. A good result indeed. Thank you for reading the blog about journey mapping, I hope you found it useful. I’m Jerry Angrave, a Certified Customer Experience Professional (CCXP). I’m a CX consultant with an extensive corporate background and I also specialise in professional development for those in, or moving to, customer experience roles. Feel free to contact me with any questions – by email to [email protected] or by phone on +44 (0)7917 718072. More details at the website www.empathyce.com. https://empathyce.com/wp-content/uploads/2014/08/logo.gif 0 0 Jerry https://empathyce.com/wp-content/uploads/2014/08/logo.gif Jerry2016-11-18 17:01:342016-11-18 17:01:34Customer Journey Mapping, done. What next? Customer Journey Mapping? Why not? Customer journey mapping. It’s probably the easiest starting point for anyone looking to improve the right customer experiences. That said, I still encounter business leaders who see customer journey mapping as a waste of time. They don’t see it as a means to a very commercial end; to them it’s about employees pretending to be customers and having fun with post-it notes. At best, they won’t release any of their people from doing their day-job to go on a ‘jolly’. At worst, the journeys get mapped to tick a box, after which they simply gather dust. So, this is the first in a short series of three posts on why journey mapping is important, how to make it effective and what to do with it. First, let’s deal with the “Why?”. Customer experience professionals need the tenacity and resilience to win everyone over, whether it’s buy-in to the very concept of CX or asking for cross-functional representation in workshops. It’s not easy when those leaders want instant gratification for any activity. Showcasing how journey mapping leads to better experiences, which in turn improve sales, revenue and retention is acutely important. But that alone sometimes isn’t enough to shake cynics out of the complacency tree. They’ll say the business is making money, they have satisfied customers and employees know what they’re doing; why change, why spend time doing what we call “journey mapping”? The mission statement and vision, the guiding principles, should be about customers not the organisation. Absent a real understanding of customers’ needs, hopes and expectations a business can only operate in a vacuum. There’s no consensus around what should be done so everyone will carry on doing their own thing, preserving the corrosive effect of silos. Advertising expenditure in the UK this year is expected to be over £20bn. Yet such investments will be wasted if the promises made by the brand are not backed up by the reality of the experience. 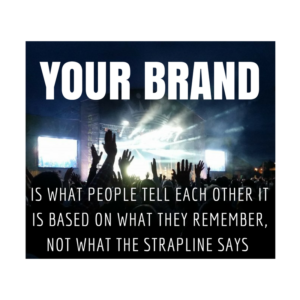 After all, the brand is what people tell each other it is, based on what they remember – not what the strapline says. And we all know what impact the presence of broken promises has on a relationship. It’s easy to measure the most obvious things but is that simply a process audit of what the business thinks should happen? Journey mapping will highlight the things customers value the most; we need to know how well do we do what’s most important. It also avoids employees feeling pressured to chase a number rather than feel empowered to give the right experience. Money, time and resource are all finite but one of the great things about journey mapping is that it is very helpful at prioritising what to do next. With a deep empathetic view of customers it becomes a lot easier to challenge personal agendas, inwardly-focused projects or new products that fit in the “technology for technology sake” basket. It’s easy to work out what things are really important to customers but we’re rubbish at doing, as well as preserving the things we’re good at. The gap between customer expectations and reality is one of the key drivers of a sustainable business. A company may feel secure because there’s no obvious burning platform. As consumers, we have exposure to many companies across a variety of sectors and so our expectations of better experiences are rising as quickly as our tolerance of poor ones are falling. An essential component of effective journey mapping is to see it from the employees’ perspectives, otherwise we have no idea how easy or difficult it is for our people to deliver the right experiences. They know about fragile processes, about broken hand-offs, about a lack of risk-free empowerment and inflexible policies. Their ability to deliver the experience is a link in the chain that can’t be kinked or broken. CJM does many things, not least it informs the customer strategy, it gets employees behind a common purpose and it focuses effort in the right place. More than that though, it gives a business confidence and context for what it does, organising the thinking that will start to change things for the better. It’s an incredibly powerful tool but it must also be disciplined and structured. Therefore next in the series I’ll look at the ‘rules’ for how we can map journeys effectively and finally we’ll look at what to do next once the journey is mapped. Thanks for reading the post, I’d love to hear what you think about journey mapping. Jerry Angrave is a Certified Customer Experience Professional (CCXP), a CX consultant with an extensive corporate background ‘doing the doing’ and specialises in professional development for those in customer experience roles. Feel free to contact him with any questions – by email to [email protected] or by phone on +44 (0)7917 718072. More details at the website www.empathyce.com. https://empathyce.com/wp-content/uploads/2014/08/logo.gif 0 0 Jerry https://empathyce.com/wp-content/uploads/2014/08/logo.gif Jerry2016-10-14 12:46:322016-10-14 12:46:32Customer Journey Mapping? Why not? Do we need to measure customer effort? The presence of any effort should be enough to set alarm bells ringing. Knowing a score out of 10 or tracking a percentage may give KPI-focused colleagues a degree of comfort but that can also be an excuse to defer remedial action on the basis that “It’s not as bad as it could be, yet“. Measurement of the right customer experiences in a way that fuels a rolling programme of improvement is, of course, essential. To measure customer effort is to monitor one of the symptoms of our customer experiences but it is nonetheless very challenging to get right. Setting up reliable and timely surveys can be a complex task but by changing the mindset there is another option for organisations looking to head down the customer effort path: simply believe that any effort is too much effort. And the biggest clues about whether there is too much effort are often much closer than we think. When we’re ill we don’t need a thermometer reading to tell us we have a temperature. When it rains we don’t need to know how many millimetres fell to tell us we got soaked. And we don’t need a metric to tell us that a customer experience is more effort than it should be. We know when things are wrong, we have the signs and we build the processes; we don’t need to measure it to know it’s there. Customers will tell us about the causes of complaints, niggles and gripes. The operations and IT teams will be asked to build manual work-arounds. Processes to fix recurring issues are created. I recently worked with a software manufacturer who took real pride in helping customers when things go wrong or happened more slowly than expected. What they hadn’t grasped was that the reason they had to bend over backwards all the time was because their original proposition was flawed and made it a real chore for their customers to do business with them. 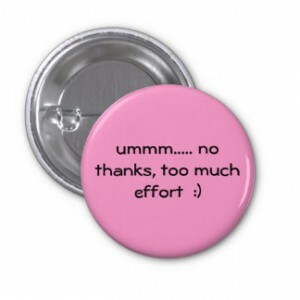 If there is an element of effort then there is already a problem. It doesn’t matter what the scale or metrics say. If things could be easier for customers then there are commercial decisions to be made. Why is not easier? Are we happy to put customers through that and keep our fingers crossed that it is not, or will not become, a competitive disadvantage? A company that doesn’t bother to put the effort in itself will simply transfer that effort to customers with inevitable consequences. By way of example, I recently flew from London to Warsaw to speak at a customer experience conference. I was impressed with the airport, Heathrow’s relatively new T2. It was quick and easy, clean and friendly. It didn’t need to be any more than that. I got lucky on the flight too, a new 787 Dreamliner which was half empty. So far so good. It reminded me of Amazon’s perspective that the best experience is no experience. Zero effort. But when I went to pick up my bag from the luggage carousel it wasn’t there. The world has greater problems on its mind but for me at that time, late at night and with no clothes for my presentation in the morning other than what I stood in, it wasn’t what I needed. I accept (but I shouldn’t) that bags do go missing. But lost bags are obviously a highly regular occurrence judging by the way the process and form-filling swung into action. The very presence of that process should be mirrored by an experience that is empathetic and minimises the impact on the passenger. There were no instructions though about what happens next, no empathy to the position I’m in. Next morning I present my keynote in the same clothes but at least have an opening story at my and the airline’s expense. Maybe the problem is that there are too many stakeholders, or rather a lack of communication between them. When I returned to Heathrow the next night it took an hour to drive just to the exit of the main terminal car park. The security guys explained that the cause was roadworks on the access roads, which happen every night at the moment and so too does the ensuing chaos. If the people who have an impact on the customer experience talked to each other they wouldn’t need to ask me how my parking experience was and they could manage expectations at the very least. Fast forward a few days and my bag is returned home. My relief was short lived as the lock had been prised apart. 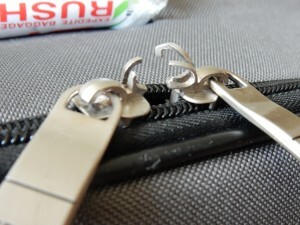 The zips are damaged beyond repair, the padlock is missing and the bag has obviously been opened. I contact the airport but get no apology, just a reply blaming the airline and a link to the airline’s contact details. Except that it’s a list of all airlines who fly out of that airport and the contact details are simply their web addresses. Thus starts a lengthy process to try and find out who I need to talk to, how I can contact them and what information they need from me. The airline I flew with has an invalid email contact address on its website that bounces back. Not helpful. There are then so many processes and “ifs” and “buts” that I’m now feeling like it’s too much effort to make a claim. They shouldn’t need to measure the customer effort. There is enough evidence internally without having to ask their customers what they are like to do business with. They shouldn’t need to because they have designed processes that – sometimes unintentionally – put more effort onto the customer. And that should be an alarm bell ringing loudly enough without the need to know how many decibels it is. As far as my bag is concerned, I might decide to give in and put it down to a bad experience because it’s neither time nor effort well spent. Cynics might say that’s what they want, to make the experience so difficult that people don’t bother. It will keep their costs down after all and keep the wrong processes working perfectly. However, what I can do with virtually no effort at all is to choose another airport / airline combination next time. For them, that’s a lot more costly. Airports and the people who use them want different versions of the same thing from the passenger experience. Whether we’re transiting through one or managing one, the common need is for it to be efficient. But this research report into what passengers tell each other about good and bad experiences shows that the way customers define efficiency is not always the same as how airports measure it. “If you think like an airport you’ll never understand your customers”. We’ve seen recently a flurry of airports celebrating bigger passenger numbers and new routes with new airlines. 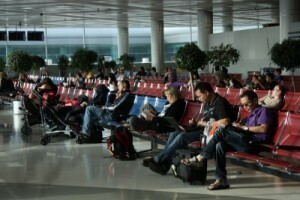 Yet their customers react with a sigh because many of those airports are already at or beyond passenger numbers that make going through the airport a tolerable experience. At the risk of generalising, airports aim to get as many people through the airport as possible, as efficiently as possible. It needs to be done in a way that means they can spend as much money as possible, come back as often as possible and tell everyone they know to do the same. If it moves (that is either people or bags) they can barcoded, processed and measured. How many get from A to B in as little time or at least cost becomes the primary, sometimes, sole focus. All of which makes good operational sense, given the complexity and challenges of running an airport in a way that airlines will be confident is using. But what are passengers concerned with and what is their version of what efficiency means? Kiosks with red, orange and green buttons greet us everywhere to ask how the service was. While that allows an AQS metric to be reported and tracked, there is no qualitative, actionable insight let alone allowances for mischievous kids or cleaners tapping away as they pass. However, the travel industry is blessed with no shortage of customers willing and able to give their feedback – and that in turn creates a vast reservoir of insight not only for customers choosing an airport but for the airports to tap into themselves. From that readily available information I’ve researched to see what customers said to each other about what makes an airport good or bad. Using feedback on airports left at the Airline Quality / Skytrax review site I organised over 750 descriptions behind why passengers gave an airport a score of 9 or 10 (out of 10) and then 0 or 1. Where there were positive experiences, 98% of the comments can be summarised into one of two areas; either that it worked or that it was in a nice environment. That might seem obvious, and to a large degree it is. However, if it is so obvious then why are passengers still telling each other about cases where it’s anything but efficient? What is it that customers tell each other when they write about the passenger experience? Airport experiences do not all have to have a Wow! factor. First and foremost, passengers just want everything to work. It’s a truism that without the basics in place being done well and consistently, a Wow! becomes a Waste of Work. good wi-fi connections were cited but this is increasingly sliding down the food-chain to be a basic expectation; its absence being more of an issue than its presence. Where customers were giving airports a score of 0 or 1, the biggest gripe was that the airport couldn’t cope with the volume of passengers. 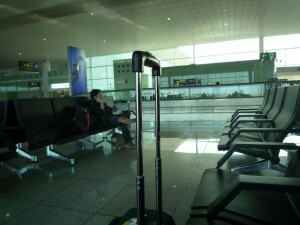 The resulting slow and uncomfortable journey through the airport creates frustration and anxiety. It’s made worse by the fact that as passengers we not unreasonably expect airports to know exactly who is going to be in the airport each day and to be prepared. Other consequences of the over-crowding included poor seating, a dirty and gloomy atmosphere and poor choices of food and drink. 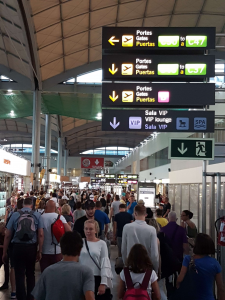 It’s for these reasons that an airport celebrating a rise in new passenger numbers might want to acknowledge and address the concerns of existing customers at the same time. For passengers, security, immigration and baggage handling fall into the category of processes that should just work every time. Where they do, it’s fine, but where they fall short, they can have a significant impact on influencing whether a passenger will choose that airport again. Slow moving queues, duty free goods being confiscated in transit, poorly translated instructions and slow baggage reclaims were among the specific processes that riled customers. Again, it becomes emotive because these are all seen as avoidable inconveniences when we experience other airports who can and do get it right. As a generally compliant travelling public (and I accept there are exceptions, such as when peanuts are served in bags), going through an airport can be a daunting experience even in the best of terminals. The one thing we hope we can rely on is that when we need to interact with another human being there will be a mutual respect, a helping hand or at least clear instructions so we can indeed be compliant. Airports go out of their way to train staff and yet the evidence is that many are still failing. Rude, unempathetic, incompetent, unhelpful, deliberately slow and uncaring are just some of the ways staff were described. Any organisation is dependent on having good relationships but where one side feels they are being treated with contempt, it becomes a very deep scar to heal. “Miserable, nasty employees, barking and screaming at customers as if they were dogs”. It’s an area airports have focused on and with a good deal of success. Making passengers more self-sufficient and having employees being better at handling questions has benefits for all sides. But there are still airports where having the right information at the right time in the right place is still elusive; more specifically, passengers concerns around information was that either there was none, it was inadequate, it was wrong or it was confusing – all frustrating when we live in a world dominated by technology and information. So what? Why is it important and what does it tell us? Depending on which piece of research you read, anything between 75% and 95% of customers are influenced by what others say. Any robust customer strategy will have at its core a clear vision of what the experiences need to be in order that passengers will think, feel, do and share as intended. Many organisations now build into their customer journey mapping a stage specifically to address the “I’m sharing what it was like” issues. Declan Collier of London City Airport reinforces the point about the dangers of process focus, task orientation and metric myopia when he talks about being “in the people business” and that the fortunes of LCY will “rise or fall on the ability of its people”. For example, last year I questioned the fanfare for an app that tells passengers where their lost bags are. I accept that bags go missing but as a passenger, whether I’ve a smart-phone and free hands or not, I’d prefer to have seen the investment directed to not leaving me feeling awkward and helpless standing by an empty baggage carousel. However, I was told by a large airport hub that the rationale was that it would mean transiting passengers could run for their connection without having to worry about collecting bags that weren’t there. I was told that yes, running is part of the expected experience and my concerns about what that is like for my confused mother or my autistic son fell on deaf ears. I was told I don’t understand airport operations and they’re right, I don’t. But I do understand what it’s like to be a passenger. The best airport experiences don’t need to be expensive, complex or high-tech. Think what a difference just having engaged, helpful and friendly staff makes – and that doesn’t take a huge piece of capex to justify, just a degree of collaboration with employees and third parties who have the airport’s brand reputation in their hands. One observation in the course of the research was that the high and low scores often applied to the same airports. That has to be a concern and worthy of investigating; why can it be done so well at times but not at others? How come all the effort and pride can create advocates some of the time but at other times is just handing passengers to competitors? Unsurprisngly, Heathrow’s social media team proudly retweeted it to a similar number of their followers. Within 15 minutes, this positive message was shared with well over half a million people. And all because the experience was simply – and “amazingly” – smooth and quick. Nothing more complicated than that. It’s not just about giving customers the right experiences every time. To make an airport efficient for passengers as well as managers it also needs to avoid giving the wrong experiences, ever. The commercial consequences are riding on it. Passengers know that as well as anyone. So if there’s one message, then it is that the airport and its brand is only as good as people tell each other it is. I hope you find this report useful and interesting but email [email protected] or call me on +44 (0) 7917 718 072 if you’ve any questions or comments – I’d love to hear your views. United Airlines threw a new perspective into the debate about where responsibility for customer experience sits when it handed accountability to its General Counsel. In an unusual move, United has brought customer experience and lawyers together by putting its General Counsel in charge (reported by Gary Leff). The airline has a habit of being in the media for its unharmonious relationships with guitar playing customers, monks and even its own employees. To pull the airline off the bottom of the customer satisfaction tables and into a position where customers rave rather than rant certainly needs drastic action. Customer experience and lawyers under the same wing – a piece of corporate brilliance and a shrewd commercial move or a temporary holding position for an internal hot potato that nobody wants to catch? True, the role of GCs and their teams is changing as the stakes have become higher. The economic turmoil of recent years coupled with increased regulatory demands has turned up the volume of the legal voice in the Board Room. Their plate is already overflowing with the need to advise and keep the business ethical so should that also include managing customers’ experiences? Like every other part of the company, Legal needs to have input and be kept informed. At a practical level though, legal teams may not be closest to customers on a day-to-day basis and therefore best qualified to determine the nuances of what it should be like to be a customer. I’ve seen companies who have the same director in charge of IT and Marketing. Operations directors often pick up the customer experience reporting lines, as do those leading the Marketing agendas. Where silos exist and presumably more oversight is seen as a motivator for greater collaboration, many businesses also make one functional director accountable for the customer experience in another unrelated function. The legal, risk and compliance teams already have a big say in how things are run, for sound commercial reasons. At the other extreme though, having such a specialism in charge of customer experience creates a perception that it’s necessary because the experiences are so awful that the legal team are going to be integral to it anyway. Whose role is it? In this case, only United can answer that. It’s a question we shouldn’t have to ask though. Customer experience – doing the right combination of things for customers and the balance sheet – is what a business is about. It’s a way of thinking and collaborating, it’s not an agenda item on one person’s monthly report back to the Board. 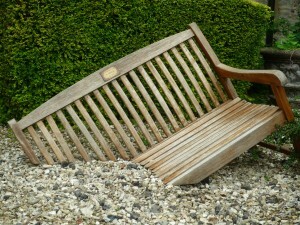 But if no one else will pick it up, maybe an empathetic and disciplined legal team are as good as any to run with it. Did City Link’s customer reviews predict failure? Customer experience reviews are a rich source of information for companies wanting to improve. They also contain vital signals for companies needing to survive. On Christmas Eve, the UK parcel courier City Link delivered itself into administration. A few days later on New Year’s Eve, the absence of anyone wishing to pay the right price to pick up the pieces dealt the final blow. The company collapsed and took with it the jobs of over 2,300 people. Timing – whether delivering parcels or news – would sadly not appear to be one of their strong points. Could they have seen it coming? Maybe they did, but it sends a message to other companies that the early warning signs of trouble and what needs to change are not hidden away in an elusive, impenetrable vault. Customers themselves are a reliable barometer of the pressure a business is under. A quick look back at City Link’s customer reviews in the months and weeks leading up to the company’s failure should have set alarm bells ringing far beyond learning about niggles and gripes. Take what was being said on Trustpilot for example. There, just under 1,300 customers have taken the time and trouble to share their thoughts. 69% of them gave a 1-star rating; 22% gave 5 stars. So while some things were being done right, there was clearly a dangerous groundswell of very unhappy customers. Scores are one thing; more telling is the level of negative emotion that customers talked about. Over two-thirds of their customer reviews were not just people with a complaint; the depth of emotion about their experience was raw and they made sure other customers knew about it. Other review sites are available but if you want to read what customers said on Trustpilot about being on the receiving end of the wrong customer experiences, click here. In short, the problem was not that customers felt underwhelmed by the lack of any “wow” experiences. Of greater concern was the lack of basic expectations – unmet promises, conflicting information and being treated with contempt by rude staff. Things that are arguably not hugely expensive to put right, but all of which created a lack of trust and customers warning other customers not to use them. City Link was owned by a private equity firm who will have had a clear idea of what they wanted in return for their investment. It’s not my money that’s at stake so I’m not in a position to pass comment on the business decisions and focus. But, those reporting on the collapse cite operational efficiencies and intense competition as key reasons for the demise. And while neither issue is insignificant it will be rare to find a business that doesn’t share the same challenges. Worse still, customers have been shouting about the solutions from the pages of review sites. I’m privileged to work with a variety of organisations across a variety of markets and countries. It’s also my job to learn from others who are pushing the bar higher or dragging the bar up to where it needs to be to survive. I see three factors that are common in many cases, and with City Link here too. One: detail. People talk about surprise and delight, exceeding expectations. Nice idea, but “WOW” stands for a complete Waste of Work and cost if the basics are not in place. Two: consistency. Those basics need to work time after time, whoever, wherever and however the experience is being delivered. Three: listen. Customers are saying what can, and needs to, improve. So as we finish our reflections on last year and head into the new full of ambition, maybe first up on our 2015 to-do list is to make sure we’re listening properly and acting on the right things that will ensure there is a business for customers and employees to come back to. https://empathyce.com/wp-content/uploads/2014/08/logo.gif 0 0 Jerry https://empathyce.com/wp-content/uploads/2014/08/logo.gif Jerry2015-01-02 18:36:472015-03-26 12:33:20Did City Link’s customer reviews predict failure? To assess customer experiences is to embark on a complex but profitable journey. The desire to make improvements is compelling and yet the starting point and finish line are not always obvious. The Customer Experience Triangle concept has been designed to help shape the thinking that makes planning easier and direction clearer. 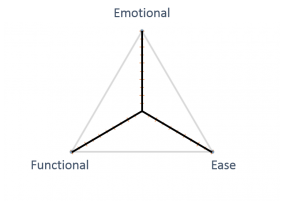 Is your Customer Experience Triangle a perfect 10-10-10? Whatever the customer experience, it can be deconstructed into three key, interdependent components: functionality, accessibility and emotion. 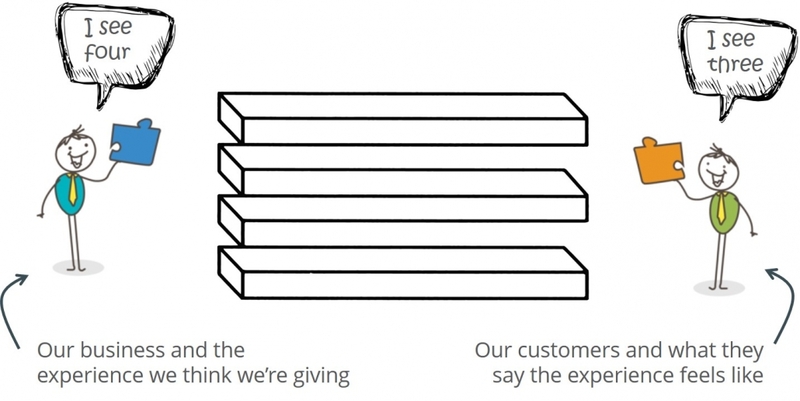 Three simple dimensions to quickly assess how good – or not – an experience is. As customers, we do this subconsciously when we do business with a company; it’s important because the result affects whether we’ll do the same again. As customer experience professionals, it’s a powerful way to understand how well we do the things that are most important to our customers and our business. It then becomes a structured and visual way of thinking about where the priorities, investment and resource should be focused next. Functional: was the customer able to do what they needed to do? Accessibility: how easy was it? Emotion: how did it make them feel? 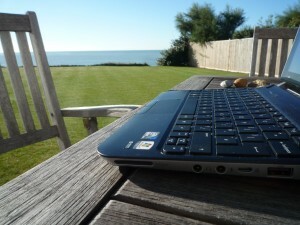 Fellow CCXP and Custerian colleague Ian Golding writes excellent customer experience reviews using this as the basis – do make time to check him out at ijgolding.com. 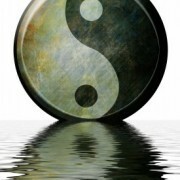 The premise is that the whole experience is a combination of the three elements. It might look something like this, where the sweet spot is in the middle. If we take the concept a stage further it becomes a very useful tool to assess how well we do the things that really matter – and therefore show where the focus for what to do next lies. 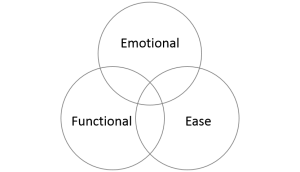 To assess each element in its own right and against the other two, we can use another simple visualistion of the same three dimensions. The Customer Experience Triangle TM concept can be overlaid with a metric to track the progress of improvement activity over time. In reporting schedules, it holds people to account for change. Rather than sharing one generic headline number around the organisation, a score of say 3-7-5 (for function – ease – emotion respectively), immediately points to areas that are in need of improvement. However, the real value in this approach is in organising the thinking and in the visualisation of what to do next. Without using it to drive change, it will be just a vanity project. In the same way, a score is a nice-to-have but that’s not the ultimate goal – as I always say, get the experience right first and the score will take care of itself. So as a new year looms over the horizon I hope this gives you some food for thought about how to get your customer experiences in shape for 2015. The perfect 10-10-10? Are we talking the right language of customer experience? Many customer experiences simply happen because when it comes to the attitude and processes, we hear people say “We’ve always done it this way”. And if it works today, why not? Well, for a start things could be so much better. Maybe – and I’ve often seen – things aren’t actually working in the way your customers want. The consequences of complacency are huge yet that word rarely, if ever, makes an appearance on the “risks and issues” log. There’s an equally risky parallel in the language of customer experience; the risk being that we have all adopted the phrases and platitudes over time to the extent where if we’re all thinking the same way, having the right and differentiated customer experiences will be so much harder to achieve. 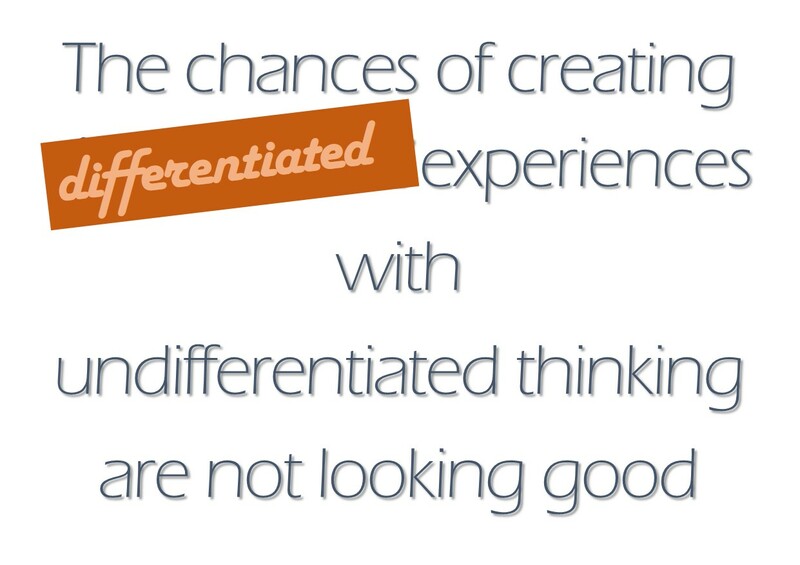 I’ve written before on the need for differentiated experiences from differentiated thinking. To talk about “experiences” has become commonplace and inevitably perhaps, it is diluted in its impact. To those keen to pile in, it suggests that our focus should be mostly just on the “what happens”. Our thinking becomes limited to the very functional aspects of what we do because that’s the tangible bit. Yet we know that what affects the likelihood of someone coming back to us next time, spending more more often and telling everyone else, is what they recall when they’re about to do that – their memory about how easy it was and how it made them feel. Another post looks at that “customer memory” in more depth. We need a customer journey map for that! or We need a customer story for that! 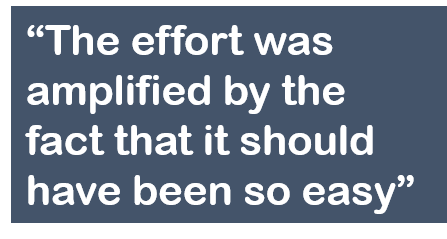 This often-heard comment in meetings is followed by someone retrieving a linear process map to use as what they see as an acceptable alternative. To create a customer journey still implies a simple A-B set of interactions but the very use of the word “journey” still suggests a functional, linear approach. What we need to know and create is the story that a customer will tell someone else. We’re all people, we’re all customers; when we do business with a company or go to a restaurant we don’t consciously set out to go on a “journey” but what we then think and talk about in terms of what it was like becomes very much a story. Having an end-to-end journey helps fit with the logical side of our thinking. Conveniently, it also fits the left to right concept that is perpetuated by PowerPoint and Excel. I’m guilty, I’ve created loads in my time but it still is not reflective of how our customers – or us when we’re going about our daily lives – really think about things. Maybe we need a pyschologist to really create accurate representations of what it’s like to be a customer. But while I’m all for keeping things simple, end-to-end still suggests a definitive start and finish point. If we really want to understand our customers then we need to think way beyond those boundaries. 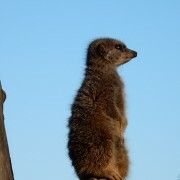 Talk to a room of people about the “voice of the customer” and there are sage nods and chatter about feedback surveys. Again though, it risks limiting the understanding of what we’re really driving at here. It’s not just about hearing what our customers are saying, it’s about understanding why people think and feel the way they do. It’s also not just about sharing what customers think, it’s very much about our own employees too. After all they are the ones who are making the the experience what it is and are often the ones who know what to fix. However, no-one has listened to them or has acted on what they said because business leaders are focused solely on turning the “voice of the customer” into a higher net promoter score. I have the privilege of working across a variety of markets with talented people in all sorts of organisations and with an infinite number of challenges. One common theme though, especially when people are going on their own personal journey of customer experience familiarity is that the language becomes a proxy for leadership of the customer agenda. Giving it the clarity and relevance it deserves, thinking about it differently to your competitors who are reading text-books and listening to career consultants will give you the differentiation your organisation needs. https://empathyce.com/wp-content/uploads/2014/08/logo.gif 0 0 Jerry https://empathyce.com/wp-content/uploads/2014/08/logo.gif Jerry2014-10-21 14:20:432015-03-26 12:33:23Are we talking the right language of customer experience? Organisations waste time, money and effort if their approach to creating differentiated experiences is based on the very undifferentiated “Let’s walk a mile in our customers’ shoes”. Inspiration for better and more valuable experiences comes from those who experience things differently. When teams set out to map customer journeys there’s often a familiar reminder of the need to “Put ourselves in our customers’ shoes”. Assuming that the journey being mapped is a strategic priority and there is an ability to act on the findings, it’s a concept that’s logical and, to a degree, works. However, that very familiarity is also its Achilles heel. If we and our competitors are looking at things in the same way, the chances of creating differentiated experiences with undifferentiated thinking are not looking good. 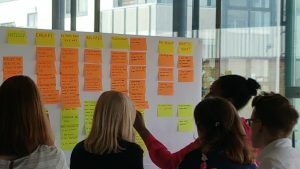 In the journey mapping workshop, everyone nods and agrees that it’s the right thing to do but exactly what it means and why it’s important can get lost in the enthusiasm of being away from the day-job and amid the swarm of post-it notes. It’s all good and valid work, but it’s highly likely to produce a sanitised and generic version of the journey. Putting ourselves in customers’ proverbial shoes cannot tell us what our customers think when they are in their own shoes; however hard we try, it will still be us pretending to be them. Even if we create a perfect vision of what the journey should be, by starting with us as a proxy for the customer, by the time any innovation has found its way through the corporate filters of business cases, project scope alignment and demands for “What’s the ROI?”, what were great ideas become diluted. Had the vision been a little more ambitious and creative to start with, our diluted outcome would be stronger for it. And so for those who want to take things a step further the approach needs to be stretched. When we learn to negotiate, if it’s for a 5% budget increase we will probably try starting with +8%. Swimmers train with weight-belts, motor-cyclists are taught to stay focused on the vanishing point of the road and not to stare at the front tyre. It’s that thing about reaching the moon by shooting for the stars. There is one group of people to whom we can turn to for inspiration in so many ways, including here. They are ordinary human beings who live with some kind of mental or physical condition that we tend to label as having a disability or special needs. In the UK, over eleven million people have a limiting long-term illness or an impairment of some kind according to the Government. It’s not unreasonable to assume that each of those individuals has at least two people who have been through the emotional highs and lows with them and sacrifice a lot to help them get through their daily lives. Even if we rounded the numbers and said that 30 million people – nearly half the UK population – are affected, the chances are that we all have such customers. Next time you think a customer is over-reacting to not getting a call back as promised, it might be because they’ve been up all night trying to calm an apoplectic 12-year old who is unable to talk and explain what the problem is. To help those mapping out customer journeys, adopting the persona of a typical customer type is a step in the right direction. But, by seeing things from the perspective of someone who interacts with the world in a very different way, it can really sharpen up the process. Take, for example, a team who wants to make the airport experience better. The type of hand-drier in the toilets might not seem to be a particular issue. But for someone with autism, hyper-sensitive emotions and a need for predictability, loud and sudden noises created by the blast from the current wave of dip-your-hand-in driers can at best be deeply distressing. Creating a situation where your customers run among other customers, screaming and with their hands over their ears is, I’m sure, not an intentional experience. But there’s also a financial impact; I know people who avoid one major airport for that very reason. Addressing that particular issue also creates a calmer environment for everyone, something that is high on the list of unprompted things that passengers of all abilities value. Those anxious people who go on a fear of flying course do so because they thought it was the flight, not the airport, that would be stressful. Many companies will proclaim they want to make things easy for their customers. And people will quietly tolerate the niggles of call-centre on-hold messages or staff who close up their shop five minutes before time. If we’re journey mapping by putting ourselves in our customers’ shoes, those are things we might not be bothered by and so we unintentionally assume our customers won’t either. But, look at it from the perspective of someone with depression, who has taken days if not weeks to build up the courage and mental energy to call only to be told to wait even longer; the stroke sufferer who wants to ask a simple question but has problems speaking and being understood. Or, the parent who can’t remember the last night of unbroken sleep, when they last woke up without being woken up and what life was like before washing bedroom walls became a daily task. Many employees in a call-centre or retail space may not have had the life-experience of interacting with people for whom living independently – or living at all – is a major achievement. Surely if we made things easy for them, everyone else benefits too. Another example. A common gripe is the ability to understand the bills we get, especially from utilities. I was with an energy-company client recently listening to customer calls and had to stifle a chuckle when the exasperated customer declared “I’ve a master’s degree in physics but I don’t understand this bill”. Imagine then, what it is like if you have any kind of mental disability or a condition such as dyslexia. Likewise, if a toy gets delivered and it’s the wrong one, do we assume that people will see it as a minor inconvenience and so we’ll be ready when they call up for a replacement. Or, because we acknowledge that a parent or carer might have to explain that to a distraught child using Makaton sign-language, we fix the process that causes the problem in the first place. Don’t get me wrong, there are many companies doing small and discrete things that make a big difference. To provide a balance, Manchester airport publishes a guide specifically for those with disabilities and their carers; Birmingham airport has staff who will recognise signs in body language that suggest something is not right and they’re trained to do something about it. Monarch is replicating the London 2012 Games Makers training for its staff. 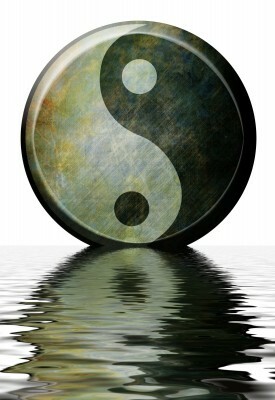 There are altruistic and – because of the world we live in – commercial reasons for taking this approach. But, if we stretch our customer thinking in a different way to our competitors and we design journeys around real people, not the processes we force them through, empathy and ease translates smoothly into a better business for everyone concerned. Thank you, let me know what you think. And if you’re interested in helping to improve customer experiences for people with special needs, please join my group over on LinkedIn at https://www.linkedin.com/groups/Improving-Customer-Experiences-People-Special-4583395/about. On my first day of my first proper job in the UK they called me “New York”. Not because I was energetic, intriguing or that I never slept but because, when it took me a while to understand what was apparently an hilarious corporate joke, I was – in their words – “five hours behind”. Recently then, I was looking forward to catching up with the rest of the world and be able to converse like an insider when it comes to the subject of big data. Within the space of a week, I had the privilege of chairing a retail analytics event in London and speaking at a conference in Barcelona on creating efficient airports through a focus on customer experience. What was clear from both is an insatiable appetite for more data. What is less clear is whether the ability to capture and analyse more and more information is generating the contextual knowledge that businesses need to bring about the change their own business plans demand. Never before have we had this amount of information available at our fingertips. True, it means that where once we relied on modelling and forecasting from a small amount of transactional data, we can now reduce the risk by removing the need for so many assumptions. But does that automatically mean we have the right knowledge to support our business and customer strategy? For airports, efficiency is everything but that can come dangerously close to putting passengers’ real needs in the blind spot. Research I’ve carried out shows that customers in an airport put cleanliness, friendly staff and clear signage at the top of the list of the things they value. And yet, they rarely make it to the Exec team’s dashboard. People do have a choice and they do go to the next airport if their expectations is one of an experience they are no longer prepared to tolerate. It is unfair to single out airports; many organisations in many markets become (admittedly sometimes unintentionally) very metric-led. Balanced scorecards thrive on them but it easily drives the wrong behaviours. 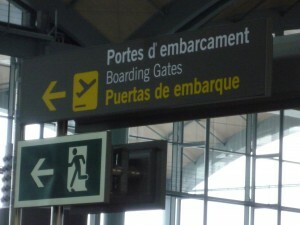 Vendors at the airport conference proclaimed that their products offer – and I quote – “first-class passenger processing”. There was a sense that if it moves it can be processed, if it can be processed we can bar-code and measure it and if it can be measured we can create more metrics to grow our pile of data. Take, for example, the “How was it for you?” array of good / ok / bad buttons having just gone through airport security. It’s data in the making but on its own, apart from regulatory reporting, for what real purpose? If 100% of people hit the red “It was bad” button, how can the airport know what to do differently without any supporting qualitative information? Depending on how you look at it, while this piece of data adds to the big picture, it is either a costly activity with little return or a missed opportunity as the infrastructure is there anyway. In the retail world, the amount of transactional information is certainly impressive. One Turkish supermarket chain had made a huge success of it. What is worrying though, is the apparent disconnect between all this data and business improvement. When I asked the retail analytics delegates what value their work adds to the business, there were puzzled looks and absolute silence. Slightly surprised, I then asked how they would respond if their CEO asked how the data they present helps achieve the business plan. Eyes down, awkward shuffling and more silence. Does this mean that in our relentless surge to generate bigger and bigger data because we can, not only are we making it more difficult to sift out the right information but that we’re losing sight of why we’re collecting any information in the first place? A piece of research just released talked about the gap between companies’ intended customer experience programme and their lack of effective implementation. One reason may be that the quest to understand everything about everything and to amass oceans of data has overshadowed the importance of having the skills to find the right information and how to be organised to then do something about it. There was another corporate saying that took me a while to understand. It was the one about “Don’t boil the ocean”. We couldn’t anyway back then but metaphorically, maybe now we can. That said, just because we can, still doesn’t mean we should. Would changing the name from Customer Experience to Customer Memories make us better prepared? We have Customer Service; it’s what companies do to or for their customers. We have Customer Experience; you could say it’s what it’s really like to be on the receiving end of the service. Done the right way though, understanding all that gives us powerful information. Yet there is also a risk that our focus on the here-and-now can give us a distorted view of the very thing we’re trying to improve; the likelihood of our best customers coming back, spending more and telling everyone else to do the same. When we’re about to buy something, it’s basic human behaviour to recall what it was like last time and then to decide whether or not we go ahead or go somewhere else. We dip into our memory bank to make the right decision, based on what happened back then and what we’ve heard and learnt since then. But as far as organisations are concerned, I’ve seen that over the last few years the focus has been increasingly on the experience or service that is given to a customer today, more so than the impact that last experience has when it comes to the next purchase. There are subtle, but important, differences. The point is, when we’re about to choose, use, buy or sign-up, it’s our memory that will determine whether we stay “loyal” or we try elsewhere. Customer advocacy has its place, don’t get me wrong. But while the wow factors were front of mind when I did that customer survey the day after I last had anything to do with the company, twelve months on I might have a stronger recall of the lacklustre service I’ve had since. The term “Customer Experience” has served markets very well in raising the bar of how businesses treat their customers. But internally, organisations have struggled and still do so today with what Customer Experience is. Is it a new fluffy label from Marketing for what everyone knows as Customer Service? Or a strategic way of thinking? Absent any real customer-based, cross-functional objectives “We do that already” is a common riposte, along with “It’s too expensive” and “Where’s the benefit?”. Every organisation has a customer experience whether they know it or not and that may be one of the reasons why it doesn’t get the attention internally that it deserves. Giving a jolt to the system and talking about influencing Customer Memories demands a different perspective; the future poking a stick at the past. It’s like asking “What can we do that will increase the chances of you buying again?” instead of “What should we have done that would have prevented you from being really hacked off?”. 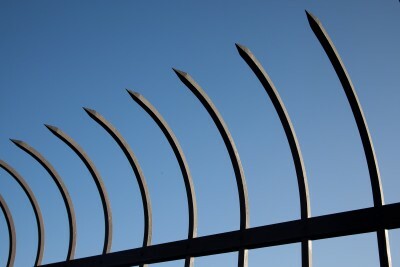 A story about horses, gates and bolting comes to mind. Arguably, the higher the value of the purchase the less frequently we buy and therefore by definition, the time between one purchase and the next can be significant. I’m no psychologist, but even if it’s a more regular or ad-hoc purchase I know our memories and perceptions change over time. I might have had a hassle-free experience and at the time was a real fan, but if I’ve since heard other stories or there’s been a change in my circumstances, my attitude or needs may be completely different. That customer feedback I gave last time is no longer relevant but unless the company asks me again just before I choose next time, they will be acting on the wrong information. Whether we’re renewing an annual contract, buying a holiday, a car, clothes or using professional services, at that specific point in time the thing that determines what we do next is what our memory tells it was like last time; not how likely we were to recommend the company to someone else one day after we last did the same thing. In the name of Customer Experience, organisations understandably have an insatiable appetite to canvas opinions within days, minutes or even as it happens. That information is used as a proxy for brand strength and to forecast the likelihood of repurchases. But if that repurchase is weeks, months even years away, how accurate can it be? It’s obviously easier to ask a customer how it was just after they’ve been in touch as there is a definitive trigger point for feedback. Just because the timing of the next interaction is harder to predict though, that shouldn’t stop us seeking such valuable information. It seems to make sense then that we should, in addition or as an alternative, track what a customer feels and thinks much closer to the point at which they make their next decision. We would still keep the metric-obsessed folk happy with a quantitative score in answer to a question such as “Based on what you remember about last time, are you likely / not sure / unlikely to use us next time?”. Importantly though, we would also still get the gilt-edged qualitative information about what can be reinforced at that pre-purchase point in time and not afterwards when it might be too late. And it would still be the case that if we get the experience right, the metrics will look after themselves, not the other way around. It’s great to see customer strategy and customer experience being discussed in the Board Room. In the main however, there is still a focus on what customers say just after purchase or the “experience”. By the time the customer is in a position to make a choice next time, the things that drive that new decision may be very different and are purely in the memory. And I for one would give ten out of ten for tapping into that. https://empathyce.com/wp-content/uploads/2014/08/logo.gif 0 0 DEV @ BluMango https://empathyce.com/wp-content/uploads/2014/08/logo.gif DEV @ BluMango2014-04-03 10:25:282015-03-26 13:16:46Would changing the name from Customer Experience to Customer Memories make us better prepared? The philosophy behind customer experience has been around since cavemen first traded a club for a spear. It was simple then, as it is now. If you didn’t like who you were buying from or you felt they were getting more out of it than you, you’d probably get your own back by inventing the wheel or going to see who’s in the next valley. Maybe because we’re better at evolution than revolution, many organisations today are shoe-horning that basic concept of customer experience into an existing model. And while there are companies who regularly get a mention for making us feel good about doing business with them, many more have reinvented that wheel only to have it spinning, making very slow – if any – progress. There are generally three types of organisational approach to tackling customer experience; add the responsibility to an existing team, create a new team or have a culture where everybody is accountable. The benefits of customer experience are buried beneath a duvet of repeated platitudes so I won’t cover those here, but the unintended pitfalls of each are worth a quick look. Done in the right way it can be highly motivating to be asked to take on more responsibility, especially if it’s to lead and manage something like the customer agenda. A bigger challenge but a bigger profile too. Usually, it will be complementary to the role that team already carries out – Marketing, Customer Service or Complaints for example. But rarely will the existing responsibilities be pegged back and often the measures by which performance will be judged are an extension of what the objectives are already. The consequence is that while the ambition is there, the reality is that the day-job still takes priority. At best, the specific skills and way of thinking that are needed to run a customer experience programme evolve from what is there already. At worst, the team gets a pasting in their performance review because what the CEO expected isn’t delivered. Rather like their customers’ experiences. Surely the watertight answer? Not always. For the individuals involved, being part of a new team is exciting in its own right. Being part of an organisation that is putting its money where its mouth is, even better. It’s a great opportunity and if – and that’s a big if – the top-level sponsorship is visible and solid, the opportunity to influence others to do the right thing is inspiring. Yet teams can easily become a victim of their own success if they let it. The creation of a bespoke go-to resource that is going to lead the customer experience charge carries an inherent danger that others think they are absolved of the responsibility. That mind-set is exaggerated if performance measures across the organisation don’t change to be in sync either. Without the right leadership and engagement of peers, the team quickly finds they are picking up everything and anything to do with “customer” on behalf of the business. They get to handle complaints, they run customer service weeks, they monitor and report on compliance outcomes and they get drawn in to police programmes and projects. Individuals who are given the customer experience roles from other parts of the business often remain task-oriented, keen to impress and be busy. So will they have the inclination, confidence or authority to learn specific customer experience skills? To follow what is being said about them and their competitors in social media and to develop reciprocal relationships with internal and external partners based on mutual understandings? Or will they settle for linear process maps rather customer journeys? Report to their boss that the call-centre manager won’t carry out a quick survey at the end of calls because it adds to the average handling time metrics? Strong governance, inclusive of every part of the business from reception desk to board table is the key. Working to the same priorities that everyone else is, knowing what the latest brand campaign is all about, understanding each other’s challenges – it’s nothing new but its effective adoption by many ranks naively low on the corporate ‘to-do’ list. The good news is that whether they know it or not, every organisation already has a customer culture. The bad news is that it’s not always the right one. Even worse, some are unable to articulate which it is, good or bad. In the same way that we shouldn’t need complaints departments, a well-led customer experience department should do itself out of a job. It’s not a function, it’s a way of thinking and a strategic tool that makes the business more efficient; driving out duplicated and superfluous costs and focusing resources of the things that matter most to the health of the company and repeat business from more of the most valuable customers. Delivering on the strategic plan, whether it’s to stabilise, grow or transform a business takes much more than a poster on the wall that proclaims “We put customers at the heart of everything we do!”. What does the right customer culture look like? That is up to you, your brand and your leadership style. But as they say, what’s on the inside gets reflected on the outside. If your people have little understanding of what the business is doing and why, if they are applauded for following processes rather than doing what’s right for the customer and if they talk about their competitors more than their own brand, then maybe the time is right to step outside. Join the others looking in, see what they see and do something about it – before they head off to the next valley. In an age of big data and a seemingly endless capacity to produce and absorb information, one could be forgiven for believing that the end of the TLA, the three-letter acronym, is nigh. It should be, particularly for the subject of this piece, but for different reasons. Popping up everywhere in emails and presentations, these TLAs quench our thirst to save time and effort by cutting short the unnecessary detail. And while they have a place, the complacency of their continued existence with no challenge as to what they are shorthand for, hides humbling messages for those leading customer agendas. In following the well-trodden path of segmentation protocol, the terms B2C and B2B have been adopted to help define target audiences and brand positioning. Fair enough. You might want Mrs Angrave to renew her mobile phone contract with you or you might be providing the software to the mobile phone company to facilitate said renewal. By definition though, segmentation is built on a specific set of needs and therefore must change too if the needs of that segment change. Yet despite everyone saying the world is changing in front of our eyes, our beloved segmentation model of B2B and B2C is cast in reinforced concrete – and therefore, worryingly, so too can be our thinking. The biggest of these changes is, ironically, simply the re-emergence of something we’ve known for years; that people buy from people. And while that has been the guiding light in the B2C world, the same should apply in the B2B sector. Take but one classic B2B example. A law firm pitching their services to an industrial giant might focus on having been in business for 100 years, having 200 highly qualified lawyers to call on and having the flexibility (depending on how you look at it) to bill by the hour. The general counsel on the receiving end of that spiel though is a real person, having their own real-life experiences and interactions. Their favourite restaurant makes them feel welcome, nothing is too much trouble. Last week on the anniversary of moving house, they had a pleasant surprise when their estate agent sent a new battery for the smoke alarm. And, using a tablet on the train into work today, they sorted out a problem with their online banking, wrote several emails and booked a table at that restaurant, again. The point is, although they work for a huge business, they are nonetheless consumers themselves who live in the real world. That is where their benchmarking will stem from. So going back to that law firm pitch, the number of years in business and the number of partners is largely irrelevant. Would that turn a consumer’s head if it were the USP (there we go again) plastered on the window of a high street store? I think not. It’s about relevancy. Imagine that when the GC got home last night, a local locksmith had to be called out to fix a jammed lock. So today, why wouldn’t they expect a law firm to be at least as responsive. The pitch is to a person, not the robotic facade of an organisation. They are putting their personal reputation on the line by hiring us so they will want confidence that the right people are there to do the job, that whoever does the pitch remains the main contact and that the law firm will spend time (and not charge for it) to really understand them and their issues. And the less we say about billable hours the better. It’s important because they are the ones who need convincing we are going to do a great job for them. If they are not fully on board, they are hardly going to be in a position to win-over the procurement team, let alone the CEO. Sticking with a B2B mindset then, carries a potentially critical flaw. I therefore suggest we all ditch the acronym B2B and replace it with P2P – people to people. In fact, I’d strongly advocate we go one stage further. It shouldn’t matter who the customer is, simply drop the acronyms and instead focus on building the right buyer experiences around what’s important to them and what’s important to your business. The sage advice “Don’t bite the hand that feeds you” needs no introduction but it clearly infers that one party is more needy than the other. It’s a sentiment that’s always been true in a commercial context since the earliest days of trading. In today’s world though, while the business side is becoming increasingly reliant, the experience they present in search of short-term results can push their customers away rather than bringing them closer. What’s worse, is that it’s especially magnified – not to say ironic – when the hand that’s doing the feeding has made a commitment, with the inevitable result that the business gets dropped and the customer turns away to move indifferently on. The very mention of a “relationship” conjures up different meanings to different people yet it is a ubiquitous byword for underpinning success. Our focus on customer experience, on what it’s really like to do business, is helping to explain why that potential misunderstanding can have serious consequences. Let’s be honest, it is really only the organisation that wants or even talks about the proverbial relationship. The P&L and share price are much more dependent on their customer than the other way around. At its core, it means that the client simply plays along until a better offer appears or they have reason to suspect a lack of value, trust or respect. What is intended by one party as a commitment to be in it for the long-haul can be seen by the other as an opportunity to take advantage of, worrying about tomorrow, tomorrow. Harsh? Well, customer experience feedback is showing that even where – or because – a client does commit, they are made to feel that the business is a bit too needy, being greedy, embracing the relationship with the grace of a pick-pocketing bear-hug. Whether necessitated by the economic environment, organisational complacency or driven by the personal short-term agendas of those in charge, there are signs emerging where such conditions serve only to increase the likelihood of a customer choosing an alternative next time, defeating the point of a business creating the relationship in the first place. To illustrate the point let’s take two examples. Firstly, legal services. There are many law firms and other B2B companies who are exemplary at managing their client experiences and will do so for a long time. There are some however, who, having worked hard to win a new contract, will try to extract as much revenue from that arrangement as quickly as possible because it might not be there in three years when it’s due to be renewed. Patently, that short-term approach of ignoring what clients really value – things like charging hourly rates for what should be fixed-price work, showing a lack of understanding and having nasty surprises or a lack of information on invoices – is a self-fulfilling prophecy and will actually make sure the client will not renew in three years. At best there won’t be a happy exchange of testimonials and worse, the client may pull the plug before the contract expires and explain why to all of their contacts. Secondly, rail operators. One would think that securing a fixed-term franchise is great news, and it should be. A foot in the door for all those future contracts too. But reading passenger reviews of one particular rail company in the UK reveals evidence that one person’s short-term is another’s long-term. Investors rightly expect a return on their investment but those behind the franchise operators may have tipped the balance in extracting so much jam today that they now risk having no bread and butter tomorrow. If their trains are filled with more people than there are seats, is it because their passenger experience is so good or because there’s a coach missing as a result of cheaper but longer maintenance schedules? Or, that they don’t care about charging full price to stand for an hour in a draughty, noisy place? For some, the basic but unmet needs of reliability and cleanliness are still objectives and talking points for franchises rather than being the norm. And, despite broadband wi-fi being available everywhere from my local café to an Airbus A380, we were told yesterday that rail companies in the UK should be able to offer wi-fi by 2019. I know that’s more of a capital-intensive offering than getting staff to smile but still, 2019? So, while some operators have fans rather than passengers, why is it that others are failing? The word on the seats about this one major operator is that service has not improved noticeably since the franchise began – there are still broken doors on carriages and paid-for extras don’t materialise. Even worried staff are saying everything’s on hold until (if) it is renewed, due in a year. It’s easy to see how even just an ‘ok’ service then in turn breeds a shared cynicism; it is also believed, rightly or wrongly, that a key metric in that renewal pitch is on-time arrivals – something that’s easy to achieve high scores on if you’re also in control of the timetable. We know that with the right experiences, customers will choose to come back next time and it is that – the accumulation of many very short-term affirmations – which gives longevity to what businesses see as the elusive relationship. So even where a contract, commitment or lack of choice exists, the company being fed would do well to act as if there is no long-term nature, no assumption about next time. Luxury or productivity? The question of value for Business Aviation’s customer experience. FBOs and charter airlines are in a strong position to capitalise on the belt-tightening consequences of recent economic conditions. That’s providing they are able to articulate their value in a meaningful way. Value, to paraphrase, is in the eye of the beholder. Understanding what that means in reality and then being organised to do something about it puts companies on track for that competitive edge and long-term growth and stability they need. Focusing on customers is nothing new. In designing and implement customer strategies, there’s no shortage of advice on why that’s a good thing. But the piece that’s often missing is how to use it in a way that creates real business benefits. 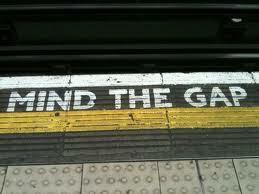 Here are some tips that go some way to plugging the gaps. “We need a customer journey map for that” is a common call that’s heard in workshops aiming to lift the levels of customer service. Unfortunately, what gets put on the table is just as often a linear process map, an operations manual or a sales checklist. They give a starting point but little in the way of direction. A good journey map is itself a means to an end. It will give everyone a common version of what it’s really like to be a customer. It points to where effort and resource needs to be focused and it provides others across the business with critical information about how best to achieve their own individual goals. Most importantly though, it forms the platform of knowledge on which future decision-making is based. It is therefore the output and what is done with it that counts. There’s no golden rule about what the map should look like, it must simply work for your organisation in a credible way that tells the story of what the opportunities are and why. The tighter the scope the better. For example, a forensic look at the tablet-based booking process for a high-value, regular customer or the welcome experience for a new-to-business-aviation client will yield more actionable and effective insight than a one-size-fits-all approach. Understanding the customer’s perception of what happens every step of the way, set against what should happen and what drives value for the business, will flush out detailed commercial considerations. What does good look like? How do we compare? What does this customer (or customer type) really value and how well do we do it? What are the unintended consequences? If we’re over-delivering in an area that the customer doesn’t see as a priority, can we save costs there? And so on. With robust leadership and governance, the journey map makes sure the right activity is prioritised, the right people are held to account and the right measurement programme is in place to perpetuate improvements. Today’s customers will sit down to dinner tonight with family or colleagues and share a story or two about their flight(s). It would be great to be a fly on the wall but with the journey mapping having created pre-meditated and dependable experiences, when the chairman asks if we know what they are saying not only can we answer “yes”, but we can also articulate how that is adding value to the business. Business aviation is no different from many other markets in that standing out from the crowd is increasingly as difficult as it is necessary. But for those who place a spotlight on getting things right, the commercial benefits are as much non-financial as they are financial. Collecting first-hand evidence of what works for customers and their own internal stakeholders back at their office shapes strategic as well as tactical decisions. It means the weaknesses and inflexibility of commercial aviation alternatives can be articulated to best effect. It helps recognise how much competitors might include video conferencing. It flushes out how customers want to pay and reveals insights for lobbying airport owners and regulatory policy makers. Such knowledge also ensures all activity across the company is working to the same priorities and that marketing investment isn’t wasted when something other than the brand promise is delivered. While business aviation has to navigate around a plethora of political, regulatory and infrastructure issues, it also wrestles with the issue of perception. For many clients, the economic climate has put cost management at the top of their agenda yet brands and communications targeting corporate accounts still ooze indulgence rather than productivity advantages. That’s fine if the chosen target market is the luxury seeker, but a sceptical programme director overseeing an urgent M&A project will only let the team fly privately if the broader economic benefits for the business case are clear. Therefore, getting to understand the customer and their own organisation is essential for business aviation companies who can then provide the right information that makes that business case uncontested. Diverting finite resources for an even greater customer focus might take some persuading for metric-driven stakeholders. The translation therefore of customer measurements such as the net promoter score (NPS) and of customers’ emotionally-driven behaviour into real money makes the case forcefully. Medallia’s research into NPS – the popular measurement tool which asks customers how likely they are to recommend your business – shows that on average, those who are willing to be an advocate are worth 30% more than those who are not. The Temkin Group also showed that promoters are five times more likely to repurchase than detractors. A joint piece of research between Forrester and Watermark Consulting tracked the correlation between organisations that had a customer experience focus and their stock-market performance. In that five-year period, the S&P 500 market index dropped by -1.5%; companies on the front foot with customer engagement increased by +22% while those dragging their feet fell by 46%. Somewhat unhelpfully, successful FBOs and charter airlines come in all shapes and sizes. Some brands make a feature of being loud and brash while others go about their business quietly, but very effectively, keeping well under the radar. The one thing they all have in common is good people. Flat fee options, in-flight connectivity that replicates being in the office and a highly responsive service will count for nothing without the right people. They understand what the company is all about, they know what it needs to do day-in and day-out to succeed and they are energised to accomplish at least that on a daily basis. And earlier this year, Rizon Jet said that its awards were due to a “Dedication to fantastic customer service….it’s not just the facility, but the people that make the difference”. A further illustration of how customer service can trump price came in the AIN FBO survey – Americas 2013. Customers were asked to cite the most important factors when choosing an FBO: 85% said good customer service, the top answer. And the top reason for avoiding an FBO? 71% said poor customer service. 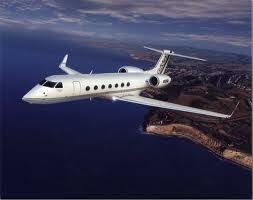 Markets outside business aviation are also finding that the bar of expectation is rising all the time. As law firms are discovering to their cost, the world around them has changed and in their clients own lives they are interacting more and more effortlessly with a host of other organisations through an array of devices and channels. Apple is a regular contender for exemplary customer service. That’s not surprising with the focus it has on recruiting the right people for its brand, the focus it has on customer empathy rather than selling and on evoking the right emotions. In March this year, Marriott headed the Temkin Group rankings once again for a hotel brand’s customer experience. Like Amazon and NetFlix, they create relevant personalisation and make it easy to do business with. They focus on the things their customer value, whether it’s helping the procurement team choose Marriott over a cheaper alternative down the street or tracking down lost luggage. Many of these results stem from having (read: “allowing”) its people talk directly with customers. These organisations also have strong leadership for a clear customer strategy that is shared and understood by every employee. Companies in the business aviation market are not on their own in needing to articulate their real value to existing and new customers. But for those who get it right, delivering what is valued most and what is seen as value for money, customers will reflect that they made the right decision, their organisation will benefit and they’ll tell everyone. And that’s invaluable. https://empathyce.com/wp-content/uploads/2014/08/logo.gif 0 0 DEV @ BluMango https://empathyce.com/wp-content/uploads/2014/08/logo.gif DEV @ BluMango2013-09-05 10:02:002015-03-26 13:16:49Luxury or productivity? The question of value for Business Aviation's customer experience. Any time, any place anywhere – it’s the right one. Who knew that the now decades-old yet iconic Martini ad campaign was forming the basis of what is now tagged as the Omni-channel experience. The concept is exercising many brains right now. We know that in an ideal world we need to give an easy, reliable and considered experience however, whenever and wherever our customers and clients demand it, whatever device they are using. But from the people I’ve spoken to recently about the subject, the bigger question is “How?”. It will be hard to find anyone who resists the fundamental theory behind an Omni-channel experience, but in practice how do we get the people leading divisional teams within an organisation to talk with each other and to establish practices that benefit each other, the customer and company P&L? It may be semantics, but the label “Omni-channel” therefore seems to simply exacerbate the current problems and internal challenges rather than help overcome them. It implies that channels can still function in the way they always have but they simply need to be joined up more effectively. Legacy systems, behaviours and organisational structures won’t get changed overnight but for me, ticking the “Omni-channel” box is a false ending. In part it’s because, in determining what our Omni-channel strategy should be, the use of the word “channel” still suggests that the focus is on what an organisation can do with its front-line structure and resources rather than be led by how customers want to do business. If the latter is the starting point, working back to today’s capability will surely bring about better outcomes than the inside-out approach. To have an effective Omni-channel strategy needs a clarity of purpose that extends beyond the channels themselves. Customers deal with a brand as a whole and that therefore needs all the parts of an organisation, whether customer-facing or not, to function as one. That takes strong leadership and it needs people with the right skills to influence sceptical stakeholders and adapt metric-driven scorecards. But the effort is worth it – there is a good reason why the Martini principles have endured for so long. They are the right ones. https://empathyce.com/wp-content/uploads/2014/08/logo.gif 0 0 DEV @ BluMango https://empathyce.com/wp-content/uploads/2014/08/logo.gif DEV @ BluMango2013-07-02 09:42:232015-03-26 13:16:50The Omni-Channel Experience, shaken or stirred: right concept, wrong name? More often than not the Customer Experience spotlight lands directly on the person who is buying, the patient who is being treated or the customer who is complaining. It means that the experience is designed around that person, the feedback requests reach out to that person and changes are made based on what that person says. And with good reason too. But there are occasions when that spotlight may be too focused; so intent on its target that it misses a real opportunity close by. It’s one that rarely gets a mention but left unchecked can have just as much of a detrimental impact on future business as ignoring the primary customer; it’s the people who are with them at the time. These are customers by association and therefore potential future customers. Maybe they are already existing customers. They are, for example, the parents of a first-time buyer helping their son or daughter negotiate the house-buying process or are keeping an eye on the mortgage paperwork. It could be someone picking friends up from the airport or relatives visiting a patient undergoing private medical care. They see at first-hand what it’s really like to be a customer and have their own interactions too. As a result, that experience puts them in a position where they can just as easily become a recommender or a detractor. Their memory of what they saw and how someone close to them was made to feel will influence their next buying decision in the same way as if it was their own experience. And that’s the point. It was their experience, just from a slightly different perspective. 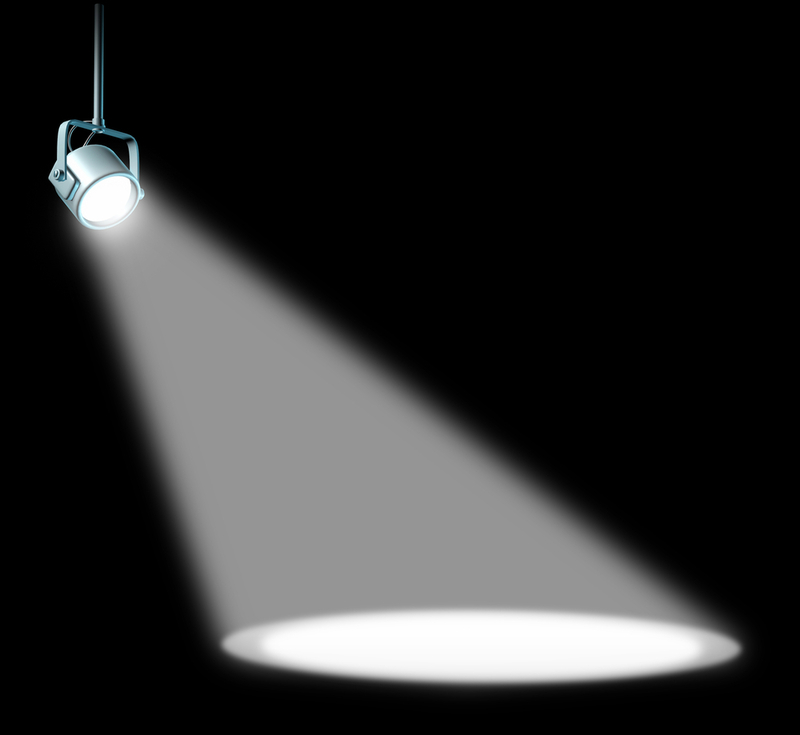 It’s one that the spotlight should not leave in the shadows. You can see it in job titles, department names and in strategic planning sessions; the terms Customer Experience and Customer Service are used liberally and are freely interchangeable. Not surprising then, why I’m often asked “What’s the difference? Same thing isn’t it? Does it matter?”. There’s a big difference. And, if the future strength of the business is at stake, yes it does matter very much. Of course, good Customer Service is essential – in essence that’s about what you offer and do for your customers or clients today; Customer Experience meanwhile jumps to their side of the fence and understands how what you did today will affect what they do tomorrow. All the “wow” and “magic moment” boxes of Customer Service may be ticked but without knowing what it really feels like to be a customer, a focus on Service alone and not Experience exposes a brand to unintentional consequences, oblivious to the real emotional and functional impact an action or a change will have on a customer. Customer Service is about what we do for our customers today. Customer Experience is about what our customers will do for us tomorrow. Customer Service is getting a geolocation text message in an airport. Customer Experience is being more concerned about hunting for a baggage trolley and then being charged a non-refundable £1 to use it. Customer Service is what you say to your customers today. Customer Experience is knowing what they say about it to family and friends over dinner tonight. Customer Service is a brand promising “Here when you need us”. Customer Experience is being charged to be put on hold when you call them. Customer Service is practical; Customer Experience is memorable. Customer Service is having six ticket desks in a cinema foyer. Customer Experience is seeing the long queue because only one is open and going for a meal instead. Customer Service is like leading a horse to water. Customer Experience is the horse thinking “Nay, I was about to order a take-away latte”. Customer Service is a polite builder. Customer Experience is them hosing down the driveway every day and giving neighbours dust sheets for their cars. Customer Service is a retail store being decorated for Christmas. Jolly. Customer Experience is a frustrating queue at the checkout because three staff are “busy” decorating. A priority? Humbug. Customer Service is a bistro providing baby high-chairs. Customer Experience is being able to move it and set it up with one hand. Customer Service is having a reception desk. Customer Experience is how you feel about the business when the receptionist doesn’t smile or make eye contact. Customer Service is a shiny new online help service. Customer Experience is being perplexed at getting no response, or finding out it’s only open 9-5. 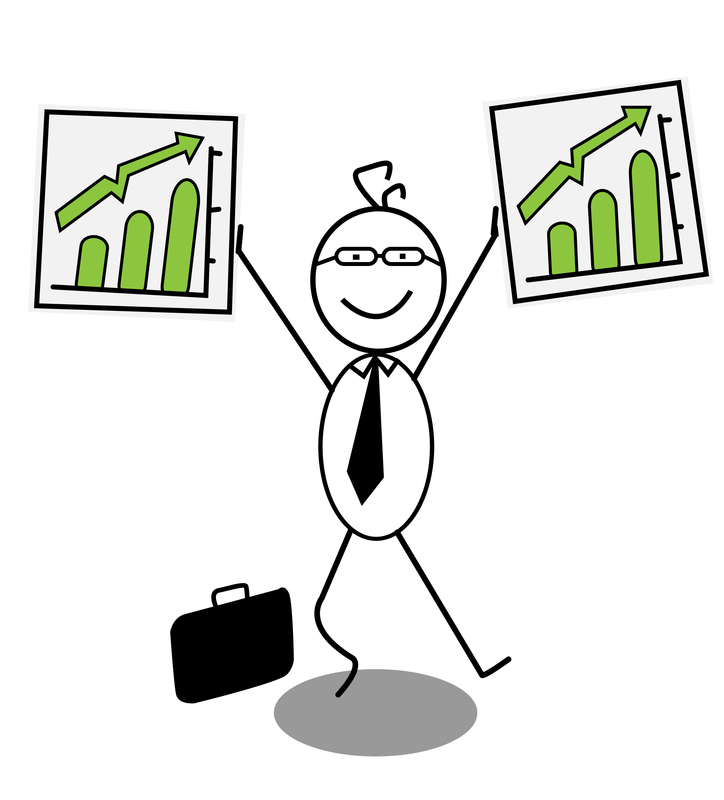 Empathyce helps business leaders and their teams to get the most out of their Customer and Client Experiences. The business improvements as a result can include better decision-making because there’s a clear Customer Strategy; less duplication and better investment / resource allocation by acting on the right feedback and insight; better employee and stakeholder engagement by showing them what it’s really like to be a customer; and better financial results by giving robust governance to prioritise acting on the things that are creating – and destroying – the most value. Which has the bigger impact on the bottom-line: ticking the boxes for slick customer service or having customers feel and behave as you intended? There’s nothing new in saying Customer Service isn’t the same as Customer Experience but I’m often asked if it matters that much. It should matter, very much. Fortunately (or rather, unfortunately) there’s no shortage of examples that show why. Imagine if you will, a high-level meeting within a lar ge passenger rail franchise discussing latest performance figures. “How were our customers last month?” someone asks, eventually. “Well, it’s all looking ok” comes the response. “100% of the trains left and arrived on time and every train was fully staffed to help our guests. Passenger numbers were up, especially on the peak-time trains and yet we coped with no additional costs of extra capacity. Customer satisfaction was down a few notches at 20% but that’s probably just a statistical anomaly in the calculation again”. And so on. The meeting closes with no further action points, happy that everything is, pardon the pun, on track. I leave the jostling of a rush-hour underground system behind and step into the main-line terminal concourse. Phew. It’s been a long day, I’m tired, I left home well before dawn and now because my meeting overran, I’ll miss putting the kids to bed. Not much I can do now though. I had a seat reserved but it was on the train that left a while ago. Still there’s one every hour and I’ve got a flexible ticket so I’ll go grab a coffee and get the next one. Hang on. Coffee will have to wait. It’d be nice to wind down this time in the evening but I’ve a gauntlet to run. Like anticipating the lights of a grand prix start, I – and it seems several hundred others – are taking up a position of stealth. We need to be at just the right place where we can see the platform number ‘revealed’ so that when the swarm of flailing jackets, cartwheeling suitcases and over-size man-bags makes a bolt for it, we’re right at the front. The prize? A seat. It’s a very basic expectation, it’s not much to ask, but it’s not guaranteed. The platform’s called and suddenly it’s like the whole All Blacks squad is chasing down a loose ball. Work shoes are not meant to be run in. It’s frantic and all very undignified. Once on board, pause to put a bag in the rack overhead and you’ll find someone’s jumped into your seat and then, conveniently, they grow selective hearing and the manners of a potato. The result? 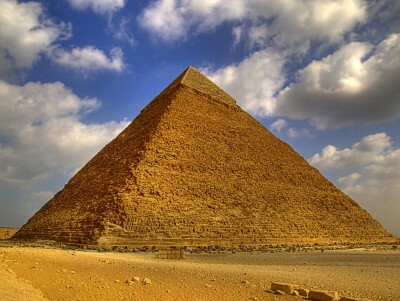 I paid a premium price to travel at peak time and to have a degree of flexibility. Yet I (and many others) have to stand in a draughty, noisy doorway near a toilet for the first hour or so of a two-hour journey. This often happens but we all agree they don’t respond to complaints and so our collective plans to use a different route and franchise next time quickly take shape. I won’t go on. Back to the meeting then. The point is that ticking the boxes of customer service is fine to an extent as long as they are the right boxes. Nonetheless, the brand and P&L will be seriously undermined if that’s not done in the context of knowing – in a timely manner and being prepared to do something about it – how what happens makes customers feel and behave; how that writes the story they will tell about their brand experience. As they say, whatever the intention, whatever the strapline offers, the brand is what the brand does. Jerry Angrave helps business leaders plan and deliver Customer Strategies, design and execute customer experience programmes and provides coaching and personal development tools for those charged with leading and managing the customer agenda. These services are borne out of real-world know-how in running teams of Customer Experience professionals and Customer “champions” in large complex businesses. Low headline prices. It’s a familiar scenario in many industries, forced on companies trying to prise open the gap between revenue and costs by generating greater volume and more loyalty than their competitive peers. At the same time, there is a relentless pursuit of bringing innovative products, differentiated propositions and “Wow!” moments to market. But looking at the reasons why customers say “I’ll never, EVER use them again” – and advise others to do the same – is rarely because of the price or perceived value, but almost always about service. Or rather, the lack of it and the consequences for how that made them feel. Looking at consumer reviews recently as part of a research assignment, it’s clear the extent to which a lacklustre experience is a destroyer of value, much more so than a low price creates it. As ever with research, there are caveats. Telecoms, airlines, banks, utility companies – and no doubt many others – all have their good guys and bad guys. And in self-generated reviews online, the tendency is to get polarised opinions. Recently I studied a random sample of 200 reviews across a variety of industries where the customers were not only scoring zero, 1 or 2 on a satisfaction or advocacy scale but they were adamant that their relationship was over. Of those 200, the future behaviour of 189 (94%) was directly attributable to the service they had. 94%! “It was only a 2-hour flight but there were relentless announcements and pressure selling of scratch cards and ‘Win a trip to Las Vegas’ competitions. Not relaxing at all. Very unpleasant”. “All the staff looked tired and as if they didn’t want to be there”. With the small exception of a handful of reviews, each articulated at least one negative emotion. I know that getting metric-driven operations teams or a target-focused sales force to make changes based on how they make customers feel is a huge cultural challenge, but it can be done. The brand is, very much, what the brand does and how it makes customers feel. Brand loyalty? Getting harder all the time. After all, customers are primarily loyal to their wallets and to their own well-being. If the same focus and resource that was put on pricing and yield management was given to the customer experience, businesses – at relatively little cost – will be able to increase revenue and reduce costs by getting customers to come back simply because of how they are treated rather than how much the widget costs. https://empathyce.com/wp-content/uploads/2014/08/logo.gif 0 0 DEV @ BluMango https://empathyce.com/wp-content/uploads/2014/08/logo.gif DEV @ BluMango2012-10-05 16:04:402015-03-26 13:17:59The emotive price of "Wow!!" vs "What??" Q: The difference between Customer Service and Customer Experience? A: Emotion-driven behaviour. We’ve all seen “Customer Service” and “Customer Experience” labels freely interchangeable in role descriptions, job titles and team functions. They are seen as one and the same thing. Does it matter? After all, it’s about “putting the customer at the heart of everything we do” (whatever that means in practice). I’d argue it matters a lot; they are very different disciplines with potential for a very different impact on the bottom line. I’d suggest there are one or two crucial differences that may help. For me, Customer Service is what we do for our customers and clients; Customer Experience meanwhile is what that service really looks like to be on the receiving end of it. And then there’s the difference in outcomes – Customer Service is generally tracked retrospectively by internal performance metrics while Customer Experience – functionally and emotionally – affects the way customers feel, think and behave next time. A recent example brings the differences to life. Buying a rail ticket online should be a straightforward transaction. Indeed, they have a comprehensive website, a booking engine that caters for all needs, navigation that is (for the most part) intuitive and a helpline in case there are any questions or problems. Lots of Customer Service boxes ticked then. So, feeling reassured and confident, I book a short day-return journey. I’m then asked for my seat preferences. Great. Easy to do business with. On to the payment page though and I notice a couple of personalised messages: I must travel off-peak and there are no seats available. Uh-oh. Confidence turns to anxiety and confusion. I know I selected to travel off-peak, so why are they making an issue of it here? Worse, there is no information about exactly what times are peak or off-peak. And they are happy for me to pay yet there are no seats and no alternatives offered. What’s that about? Maybe I was too fussy in my choice so I start over (there’s no option to amend what I’ve done so far). Same result. After the third time, confusion morphs into frustration so I call the helpline. What do I get? Charged a handsome rate, back to the beginning and a voice-activated question and answer system. After 20 minutes battling with the computer I’m finally told I’m being put through to someone who can take my payment. But then, not only is it such a bad line I can’t hear what they’re saying but the price has suddenly gone up. Once again we get into seat availability and unclear cost options. Honestly, how hard can it be? Frustration becomes exasperation becomes anger. But that quickly evaporates when I hatch a cunning plan, wrestle back control and smile smugly as I hang up and go back online to book a bus. The Customer Service was in place, with all good intentions and yet the reality was that it produced a range of emotions and took too much effort for me to become a customer, let alone a frequent traveller or an advocate. The brand is what the brand does, as they say and experiences don’t always mirror what the Customer Service manual says should happen. So if we’re not confident we know what today’s customers will say about their experience over dinner tonight, we should at the very least not assume that Customer Service and Customer Experience are one and the same thing. https://empathyce.com/wp-content/uploads/2014/08/logo.gif 0 0 DEV @ BluMango https://empathyce.com/wp-content/uploads/2014/08/logo.gif DEV @ BluMango2012-09-27 10:33:142015-03-26 13:17:59Q: The difference between Customer Service and Customer Experience? A: Emotion-driven behaviour. Ok, where do we start? There’s no doubt that done properly, customer journey mapping provides rich insights into what it’s really like to have a customer or client experience and what we should do to make it better. In the right hands, it’s an effective tool that’s being used more and more. Personally, I’ve lost count of the times I’ve been in a meeting and there’s a cry from the back of “We’ll need a customer journey for that!”. It’s great that organisations are putting themselves in their customers’ shoes more so than ever before. What’s not so great is that many of those “journeys” turn out to be existing linear process maps, operational flow-charts or decision-trees. The problem there is that they will only start at the initial physical interaction, whether that’s walking into the store, arriving at the airport car-park, landing on the home-page or calling the help-line. That approach is (questionably) better than nothing. But to draw on the sporting analogy then, it would be like a coach trying to understand what drives the individuals in the team, what can be done to make them better, go faster and go further by drawing conclusions purely from an analysis that starts with the race-day itself. Olympic and World champions take years, if not a lifetime of dedication, family support and sacrifice to be in a position to start the races we watch today. A solo round-the-world sailor will only get to their start line after months and years of intense and meticulous preparation. We can trace a climber’s route to the summit but the physical start of the journey from base-camp is also the end of another long journey of forensic planning. So starting a customer journey map at that initial physical contact point risks missing the key triggers, emotions and events that a customer experiences when they feel a want or need to engage with the brand – events that we could shape and influence in a way that sets up a successful experience for customers and our business. For example, if I’m flying away on holiday in a month’s time I might start thinking now about how I get to the parking spot I’ve reserved; how I get from there to the right entrance and from there to the check-in desk. And what can I expect at security and in Departures, how does all that work? I’m anxious because it’s the first time I’ve flown and I’ll have an autistic relative with me who lives in the moment and is therefore totally reliant on knowing the certainty of what happens next. So, an opportunity to recognise what’s most important to the customer as they begin the ‘journey’ from their perspective. And, a great opportunity for brand loyalty and advocacy. But it’s also a missed opportunity for the journey map that jumps from the booking at the travel agent 200 miles away and 12 months ago to the car park system, check-in process, cafe locations, signage and so on. Every sporting journey, every journey of any sort has a starting point. The beauty and the beast of a map is that we can find a start-point anywhere. That’s the skill of the customer journey map – to find the right starting point. The headline says “United Drops Early Boarding For Families”. I’m happy to be corrected but, as Vivian, Julia Roberts’ character in Pretty Woman said: “Big mistake. BIG. HUGE! I have to go…”. Who wins as a result of this change? United say it’s to reduce the number of boarding phases. In theory that should cut down on turnaround times and therefore costs. I’m guessing there are operational and commercial benefits involved because it’s not clear to me who else will benefit. Leaving aside the debate about whether those with premium or standard tickets should board first, frequent business travellers and those without kids may initially welcome the news. After all, airlines get a bad rap from passengers who are not able to stake their claim to what space is rightly theirs in the overhead bins because it’s been stolen by an excess of toys, nappies, food, spare-clothes and car-seats. The solution is, quite simply, to board together. So if we were to carry out some high-level customer journey mapping (ie give it a bit of thought) what does that experience look like from a passenger’s perspective? Hmm. Even with well-behaved kids and a relatively smooth journey, by the time parents get to the gate they will have endured the packing, the journey to the airport (“Are we there yet?”), the car-park, the bags falling off trolleys, keeping the kids occupied at the check-in line, finding where to go next, making sure they’re fed and watered, waiting again to go through security, one of the kids needs the toilet and then finding somewhere to pitch up in Departures while keeping one eye on the kids and one eye on which gate to trek to. And that’s before we consider what it’s then like as a single parent with kids who are totally out of routine and exhausted or for those who have varying forms of Special Needs. At least actually getting settled into the seats was relatively straight-forward Until now. Will families really choose an airline that says to them they now need to scoop up all their things and kids and run the gauntlet with everyone else, hoping that the seat allocations are error-free and their toddler doesn’t get clouted on the head by a bag squeezing past. Flying with kids is a challenge at the best of times so adding another layer of anxiety and uncertainty isn’t the most effective customer loyalty scheme I’ve seen. On top of that, most parents I know are very aware that kids are not everyone’s favourite in confined spaces and will genuinely be concerned that by holding everything up as they walk slowly to the aircraft it only makes the situation worse. For those without kids, it doesn’t get much better either. To have young kids walking from the gate to aircraft while everyone is in more of a rush is bound to slow things up. At best it’s frustrating, at worst dangerous. In the process of sitting down, it naturally takes longer for a parent to sort out things for their children so not only is it likely that they will end up with less overhead space than they are entitled to but everyone will get tangled up and end up even more frustrated. Going back to United and what’s in it for them. They might raise revenue from those families and travellers who can and want to pay for pre-boarding or to have everyone sat together. I understand why core and ancillary revenue is so vital but when those things are perceived to be freely available at the next check-in counter along the line, I’m still not sure it will offset the damage from lost customers long-term. It’s certainly not strengthening the brand positioning to be “the airline customers want to fly”. https://empathyce.com/wp-content/uploads/2014/08/logo.gif 0 0 DEV @ BluMango https://empathyce.com/wp-content/uploads/2014/08/logo.gif DEV @ BluMango2012-05-25 14:17:072015-03-26 13:18:01Customer Experience needs to ask: "What's the real impact of this change on our customers, now and long-term?" Customer Experience says: If I leave, don’t slam the door. Leave it open so I can come back. For most organisations, that “relationship” has the same attributes, strengths and challenges as our own personal liaisons. There is of course a mutual benefit, but put a customer’s hat on and while the basic requirements of trust, respect, empathy and support are still there, the relationship becomes more of a convenient association. 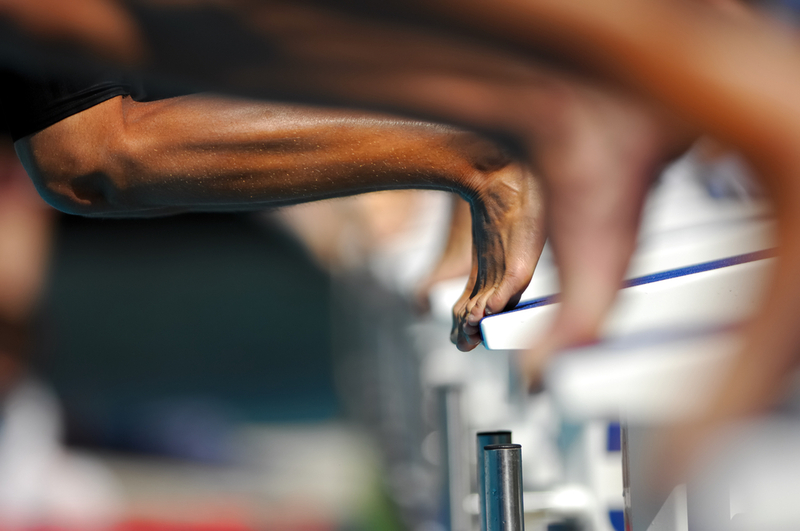 Customer Experience Management (CEM) accepts that from time-to-time, for whatever reason and for however long, we switch to try out what a competitor has to offer. Any loyalty is to our wallets and our own agenda first. Yet organisations easily mistake inertia for loyalty. So if for some reason the relationship gets broken, the organisation is not going to help itself by reacting like a moody teenager who thinks they’ve been jilted for an alien slime-ball, shouting “Well, I never valued you anyway!”. To mix metaphors, throwing dolls out of the pram will put the skids under the relationship quicker than a dog on wet lino. But that’s what it can feel like as a customer. A case in point, as experienced by your erstwhile correspondent very recently. Mobile phone contract due for renewal in two months. After 6 years with one supplier, the decision is to change. Proof, if it was needed, that even those who give high customer satisfaction scores can switch. The instructions on how to back out of a contract are hard to find (a coincidence?) but eventually it’s just a matter of giving 30 days’ notice. Fine. Email sent and confirmation of the PAC number comes back with final date. Then the current supplier calls but because the smooth “Please don’t go, we really value you” patter doesn’t change things, the conversation turns sour. It’s pointed out that the ‘how to leave’ section of the website was virtually undetectable. “What did you expect?” comes the incredulous reply. Ok, so now we know where we stand. Any thought that I would happily consider them next time were fading fast. And that was just the beginning. They didn’t offer a reminder that the bank payment details need changing. On the day the contract expired, they didn’t send an SMS giving me an hour’s notice that the connection will disappear. They didn’t say that the handset would be locked, preventing any othe r supplier’s SIM card working. They therefore also kept hidden the fact that to unlock the handset needed someone in-store to send an email to someone at head office who would email the unlocking instructions – they couldn’t do it themselves – with an SLA of 48 hours. “So, my phone is dead and you knew that would happen all along?”, “Er, yeah”. (Arghh!). And until then, it was all going so well. But because they showed a complete lack of respect, empathy and support it will be of no surprise that whatever “relationship” we had is now over. I know how important it is to stop customers leaving, I get that, but those unnecessarily high barriers, both emotional and physical, were just too much. We’re an item no more – after that experience we never will be. And that’s a shame. It didn’t have to end that way. https://empathyce.com/wp-content/uploads/2014/08/logo.gif 0 0 DEV @ BluMango https://empathyce.com/wp-content/uploads/2014/08/logo.gif DEV @ BluMango2012-05-23 13:48:322015-03-26 13:18:01Customer Experience says: If I leave, don't slam the door. Leave it open so I can come back. The first rule of Customer Experience? Understand what it’s really like to be a customer. Really understand. Not just “What is your score for customer satisfaction?” but more along the lines of “How did what we do make you feel and how will that affect what you do next time?” or “What will you say about your experience over dinner tonight?”. All good – and the right – insight to create better results for everyone concerned. But when was the last time the in-house Customer Experience team, or those who are taking CE under their wing, were mapping a journey of what it’s like to be one of their own, internal stakeholders? After all, even with all the most perceptive insight in the world, if it’s going to be used to change things, it will take willing co-operation from all corners of the organisation. 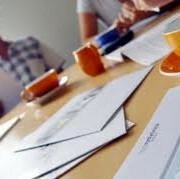 And how well do those in the team keep up with latest trends, best practice and benchmarking of their own competencies? The understandable day-to-day focus is on what’s happening out there on the front-line. However, for in-house Customer Experience teams and customer “champions”, they need the confidence and leadership to follow their own advice – hold up that mirror and find out what it’s really like to work with them within the organisation; how do they make stakeholders feel and therefore behave. What’s their internal ‘brand’ reputation? Are they credible in their own right or able to call the shots just because the CEO is on-side? Can they prove the economic benefits or are they seen as a fluffy side of Marketing? Charged with leading the agenda of what is a relatively new discipline they need the rest of the organisation to “get it”, to be enthused and motivated to change things that may not be in their own personal scorecard. 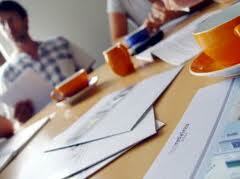 Internal stakeholders and suppliers are to the in-house team what customers are to the business. One won’t work without the other. Customers don’t want you to turn up late because you’d stopped on the way to pick up a coffee, nor do your internal customers. Against a backdrop of a commercial world that is still largely governed by short-term sales targets, margin protection and cost reduction, the in-house teams need to have the right leadership skills to bring cross-functional teams – previously worlds apart – together. They need to be able to navigate the politics of crashing other agendas, influencing investment decisions and resource allocation. They need to dispel the myths around Customer Experience. They need to get metric-driven organisations to start thinking about customer emotions; easier said than done for sure, but it can be done. Most importantly, they need everyone on board. Not just the Product, Marketing, Operational and Sales teams but Finance, IT and HR too. 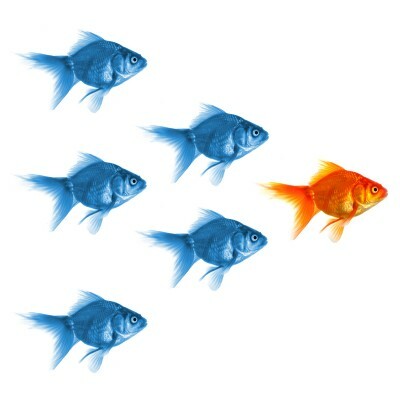 As Albert Schweitzer once said: “Example is not the main thing in influencing others; it is the only thing”. Of all the ‘customer’ journeys to manage this is both one of the most important and, happily, one over which they have most design control. Know how to lead by example and turn stakeholders into real advocates for Customer Experience. If ever there was a statistic to make us sit up and take notice, for me this is that stat: “96% of customers who are unhappy don’t complain“. 96%! Frightening. And it gets worse. “Of those, 90% will just walk away and not come back”. When businesses set out to build a branded, differentiated customer experience they will often search for the silver bullet; that single, elusive crowning glory that will set them apart from everyone else for ever. True, such aspirations are good at galvanizing an organisation behind a common goal but the reality is that the starting point needs to be a broad and strong foundation of many smaller experiences that just get the basics right. Understandably, most of the information for what to get right comes from the root cause analysis of complaints and operational data. Investment and resources are directed accordingly and all being well, the number of complaints starts falling. But just fixing the underlying causes of complaints doesn’t have as big an impact on customer numbers and their value as it might. That’s because, generally, the things that are complained about get prioritised. If fixing complaints are the foundation blocks for a Customer Experience programme, then addressing this potentially destructive layer of niggles and frustrations is the bedrock on which those foundations should sit. So, we have a rich seam of things that don’t go as customers would want, which are significant enough to make them try elsewhere next time but not so significant as to warrant putting fingers to keyboards and to complain. It might be about phone calls to a service centre that doesn’t answer the phone. It might be a shop assistant who doesn’t smile. Surprise at the final cost. Things that are easily fixed but that have a big emotional impact on customers. That in turn drives their behaviour next time. The silent customers then, voting with their feet and loyal only to their wallet. Gone. And yet those problems are unintentionally left to fester because people are complaining about other things. What we need to know is what our customers from today say to each other when they sit down for dinner tonight. When they tell the tale of what is was really like to be a customer, is that story the one we want and expect them to tell? Tracking down that level of qualitative information isn’t without challenge but it is well worth the effort. Research that asks customers what they want will give the proposition teams ideas for bells and whistles. But knowing what niggles customers will show where finite resources need to focus on in the short-term to improve experiences, loyalty and therefore revenue streams. To complain takes effort and many feel companies don’t deserve to be helped if they can’t get such basics right. In today’s world where the customer is in control, and whose bar of expectations is rising all the time, customers are rightly less tolerant to anyone who shows them a lack of respect by not “bothering” to reach a minimum standard. They might be the small, sometimes “fluffy” things and not the single shiny silver bullet – that will come in time – but left unchecked these corrosive issues may as well be bullets being shot in the brand’s own feet.